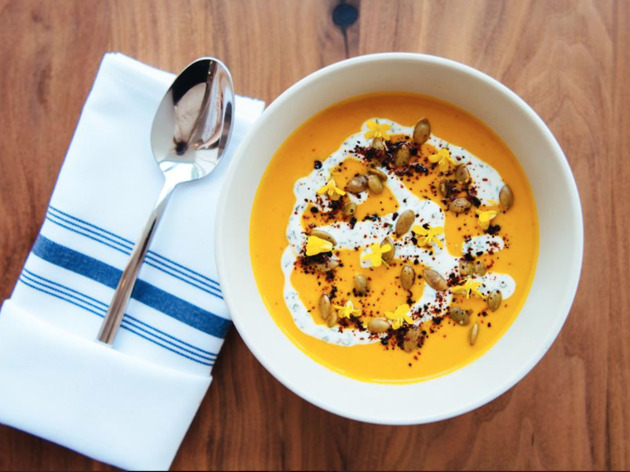 April 2019: Our spring update for the best San Francisco restaurants to eat at right now includes a handful of newcomers making waves in the crowded culinary scene. For grilled seafood, meats and garden delights, the Embarcadero’s The Angler (#3) and the Mission’s PRAIRIE (#38) offer very different takes on the open flame. 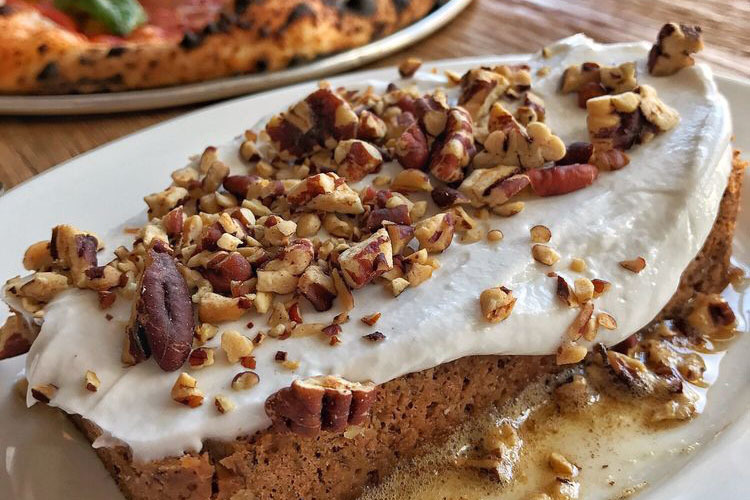 At the Outer Richmond’s Fiorella (#20) and Hayes Valley’s a Mano (#39) you’ll find wood-fired pizza and rich handmade pastas in an unpretentious, neighborhood atmosphere. 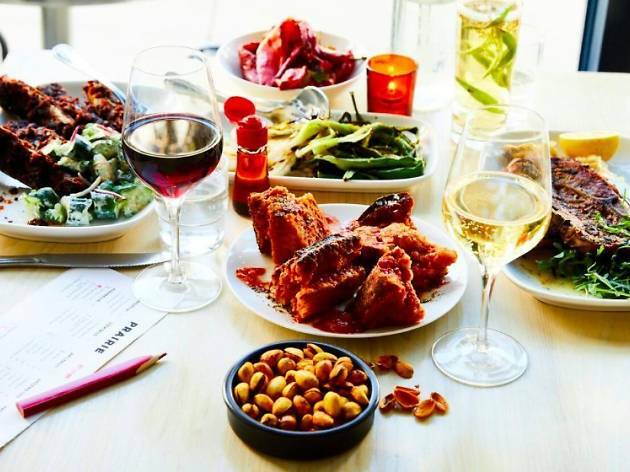 That friendly, community vibe also extends to the creative modern California fare at the Outer Richmond’s Cassava (#25) and Bernal Heights’ authentic Mexico City-style El Buen Comer (#29). 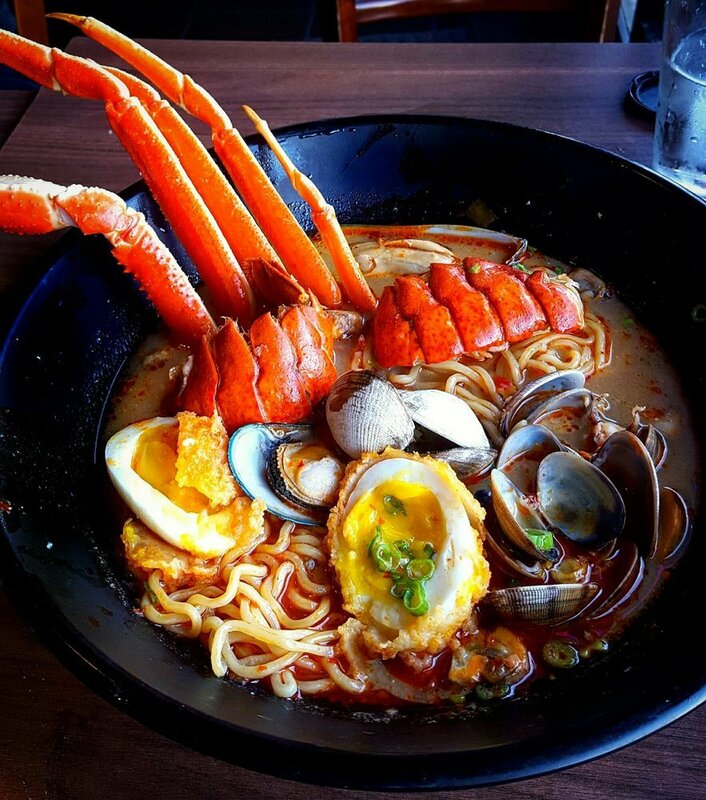 Other new additions to the list include the massive Chinese-food emporium China Live (#9), the California seafood restaurant Ayala (#10), and the sushi juggernaut KUSAKABE (#27). 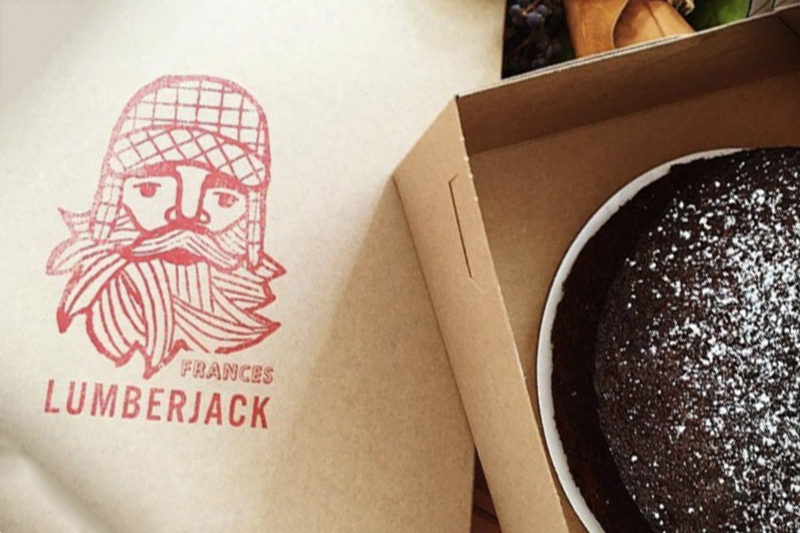 It’s no exaggeration to say that San Francisco is one of the best cities for food in the world. But with so many interesting dining destinations packed into just 7x7 square miles, it can be as overwhelming to decide where to eat as it can be to choose from our list of the best things to do in the city. But we’re here to help, with 45 picks of the greatest places to eat in this city right now: the freshest, most memorable, most inventive. The ones changing the gastronomic landscape and the ones that have been holding it up for decades. Our experts scour the city for great dishes, great value and insider info (like a certain restaurant’s off-the-menu homemade Spam). So, the EAT List is a unique, authentic snapshot of SF’s ever-evolving dining experience right now: we update it regularly, whenever somewhere we think is truly spectacular opens. 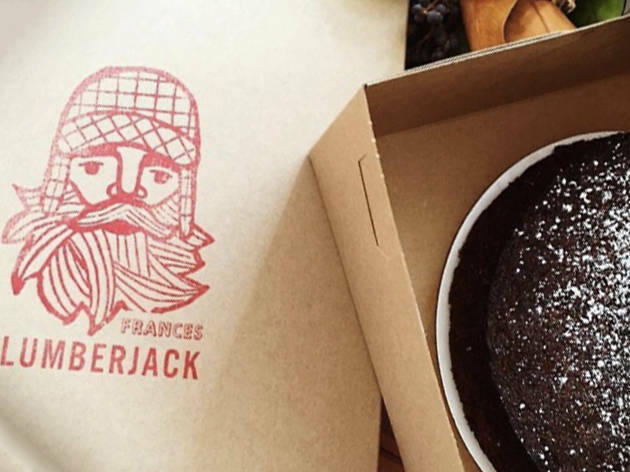 It could be a mega-hyped destination restaurant or a pop-up-turned-permanent joint in a shipping container: if it’s on the list we think it’s terrific, and reckon you will too. 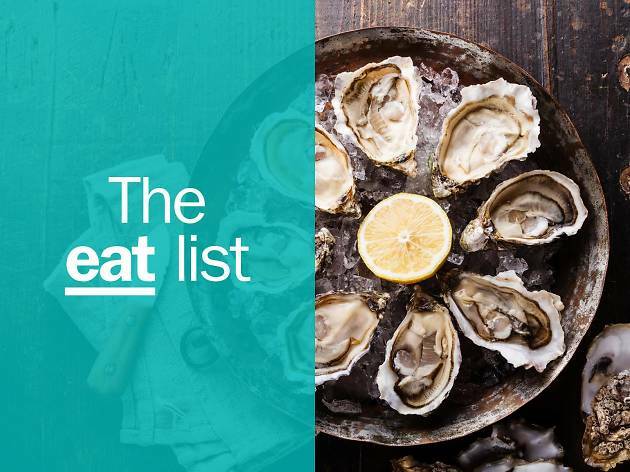 Eaten something you love on this list? Share it under the hashtag #TimeOutEatList to show your appreciation. The rustic sister restaurant to the chic Atelier Crenn, this sleek, bright bistro offers a window into the flavors of chef Dominique Crenn’s childhood in Brittany. 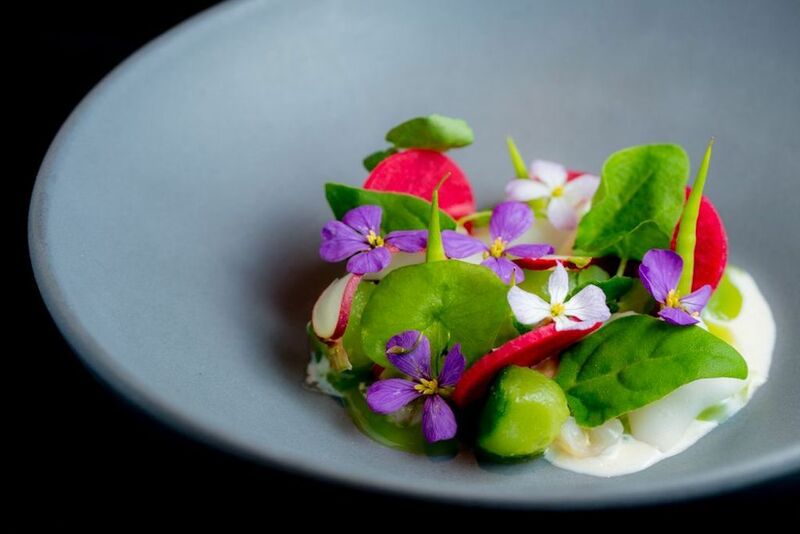 Tucked in among the painted ladies of Hayes Valley, Petit Crenn’s surprisingly affordable 5-course tasting menu ($95/person) is rife with delicate and succulent seafood dishes like smoked fish bouillon and leeks in vinaigrette with oyster emulsion, sea lettuce and hazelnut. Weekend brunch elevates classics to the next level with ȧ la carte dishes like smoked ocean trout tartin with caper fromage blanc, pickled shallots and radishes. Dried fruit, flowers, and herbs hang overhead and the kitchen is visible through spotless glass at this three-Michelin-starred restaurant. It’s a rather industrial, masculine space—black walls, wood tables, steel beams—all the better to highlight the eclectic dishes. The French-meets-Asian food is the vision of James Beard Award-winner Corey Lee, formerly the head chef at French Laundry. The nightly tasting menu skews primarily toward seafood and vegetables, though typically includes a few meat courses as well. 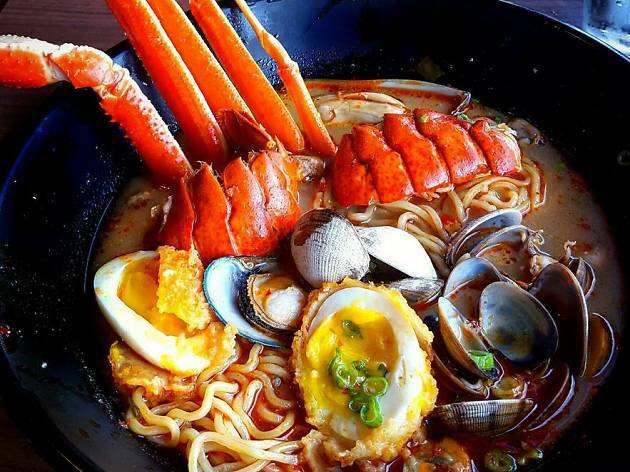 Asian influences emerge in dishes like a thousand-year-old quail egg, lobster coral soup dumplings, and abalone-stuffed chicken wings. The wine list includes more than 300 bottles, with a focus on France, Germany, Austria, and California. 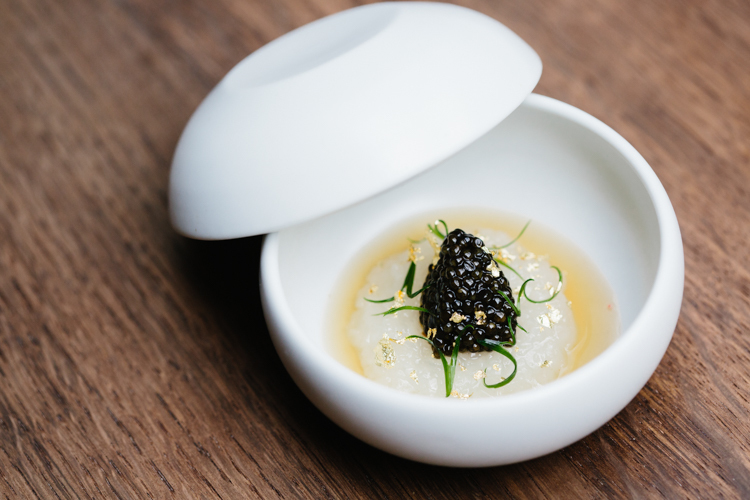 At less than a year old, Angler has already outgrown its expectations to become one of the best restaurants in San Francisco right now. 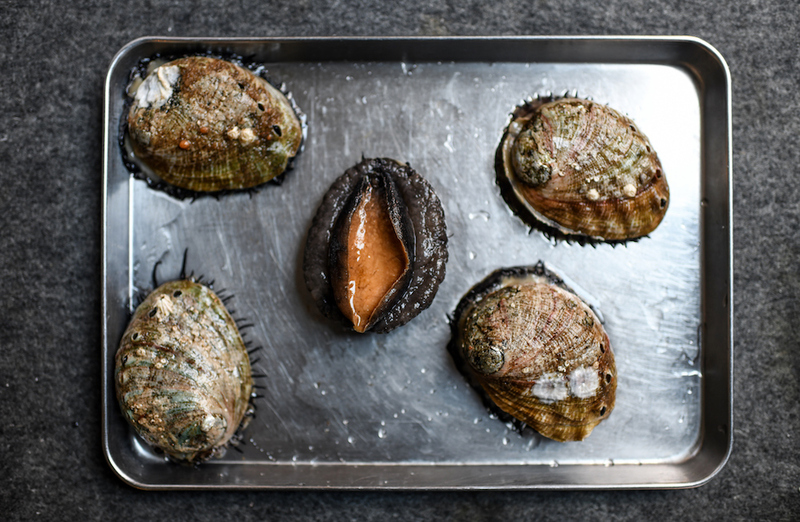 Appropriately located on the Embarcadero, this waterfront restaurant from chef Joshua Skenes of Saison fame relishes the taste of the sea with delicacies like Monterey abalone, giant octopus and scorpion fish roasted over an open wood fireplace. 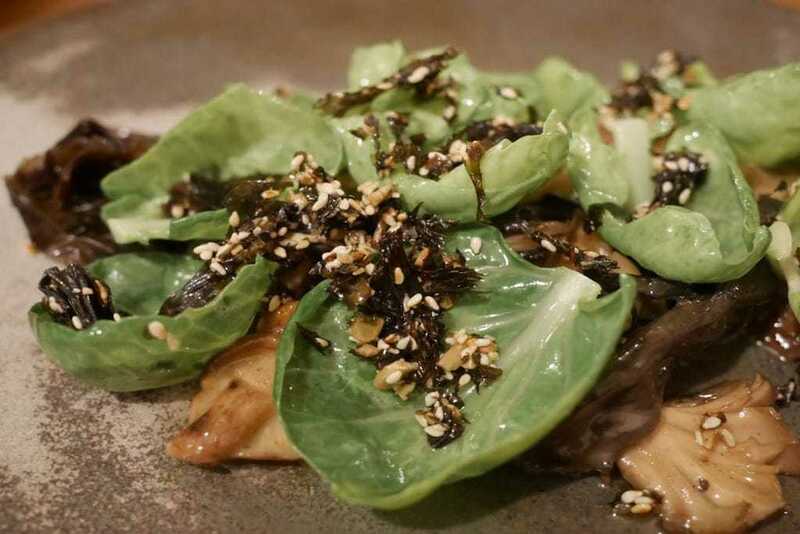 With walls hung in taxidermied game, it should be no surprise that Angler's earthly delights, too, are delight-full—dishes like smoky, succulent cordycep mushrooms, epione artichokes and rabbit . The menu is rounded out with a raw bar and a wine and spirits list that emphasizes Burgundian and Northern California vintages and small-batch distillers. 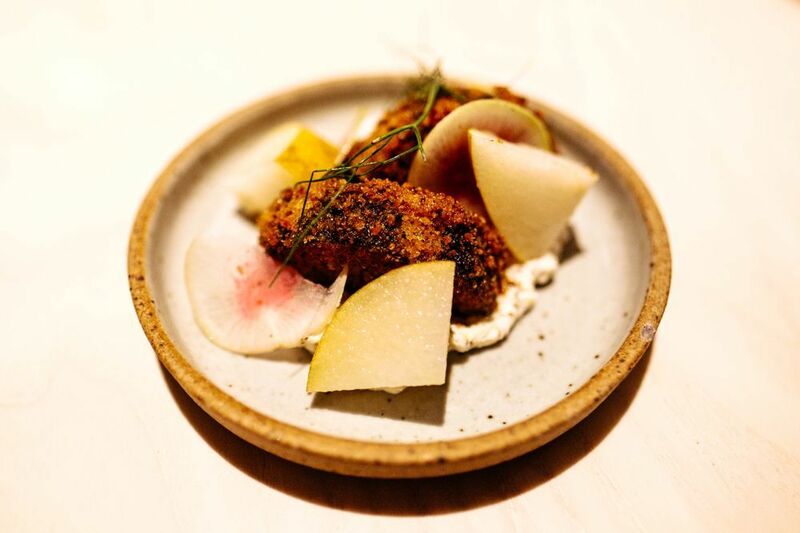 This buzzy follow-up to State Bird Provisions by Nicole Krasinski and Stuart Brioza is named after The Progress Theatre, which opened in 1911. The spot serves banquet-style meals in an inviting, wood-swathed space; the stylish setting is the work of Wylie Price, the design guru also behind Ramen Shop, State Bird, Trick dog, and Kronnerburger. 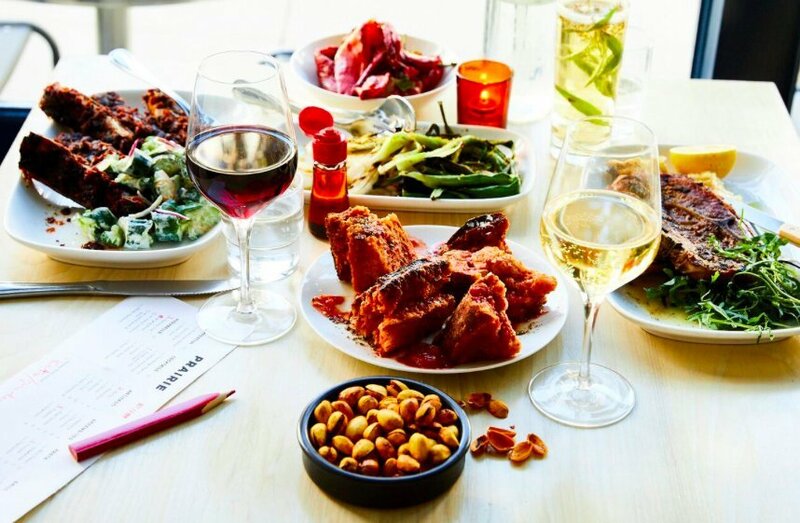 The shareable dishes are broken down into sections: raw and salads; vegetables and grains; and seafood and meats. 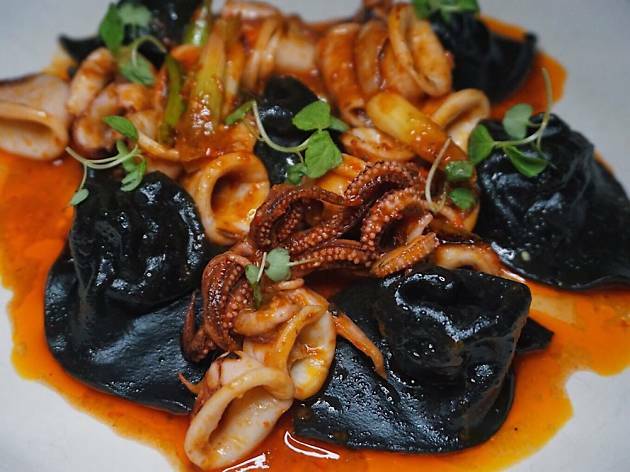 We recommend the squid ink noodles with oyster mushrooms, tomato-kale dashi and toasted sesame, and the dry-fried brussel sprouts. Or opt for one of the heartier platters, which serves 2 to 6 people. The rotating offerings might include BBQ duck, grilled lamb, or rabbit. Cocktails here are inventive and festive. For a kick, try the Wendy Peffercorn made with kampot pepper vodka, aperol, amaro, lemon and blood orange. This Michelin-starred Mexican spot is a design-lover’s dream, from the mirrored, unmarked facade to the neon art in the restroom. With its black walls, low lighting, and vibrant art, the decor matches the food: splurgy and surprising. 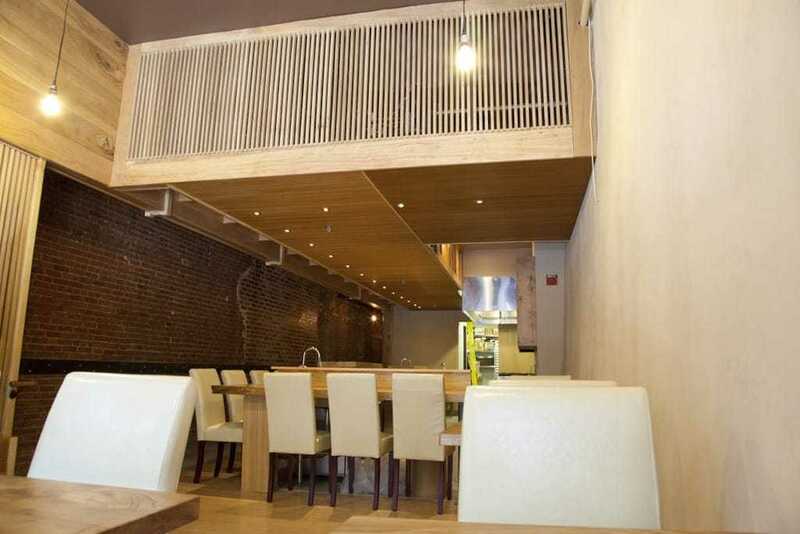 Slip into the leather banquette or snag a spot at the bar for a view of the open kitchen. 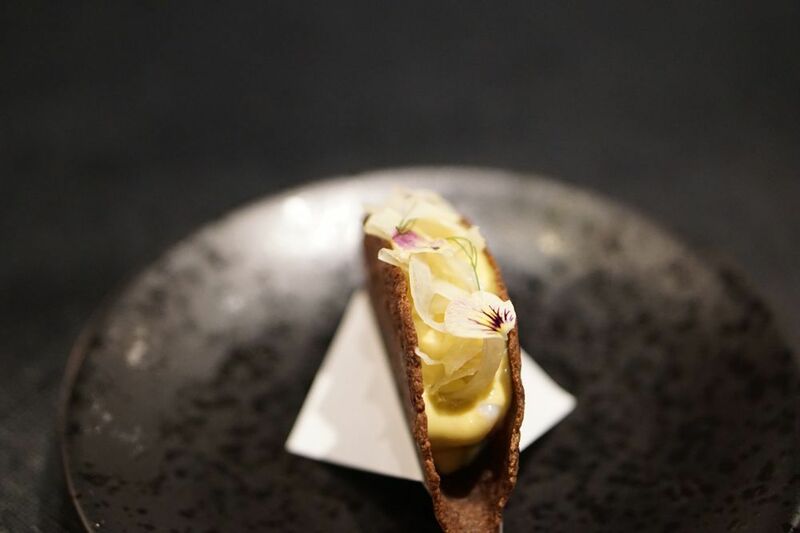 Chef Val Cantu’s decadent, 16-course tasting menu changes seasonally—expect heart-stoppingly rich dishes like lobster tacos, wagyu steak, and foie gras-garnished churros. The beverage pairing typically includes wine, beer, and cider. 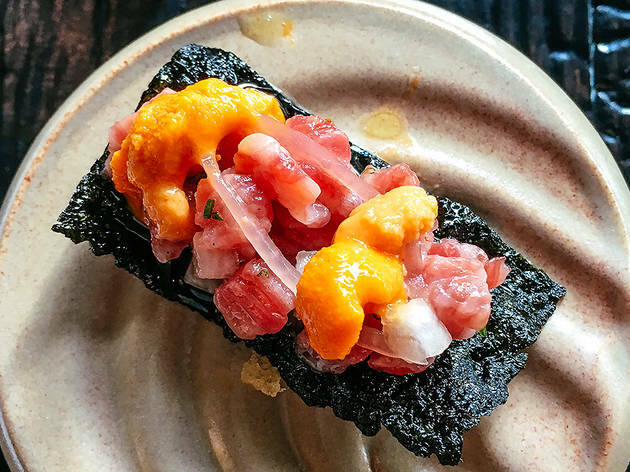 Liholiho brings a sunny dose of Hawaii to fog-shrouded San Francisco, from the bright yellow open kitchen to the “Aloha” spelled out in blue tile underfoot. Chef Ravi Kapur made a name for himself cooking at Boulevard and Prospect before branching out on his own. 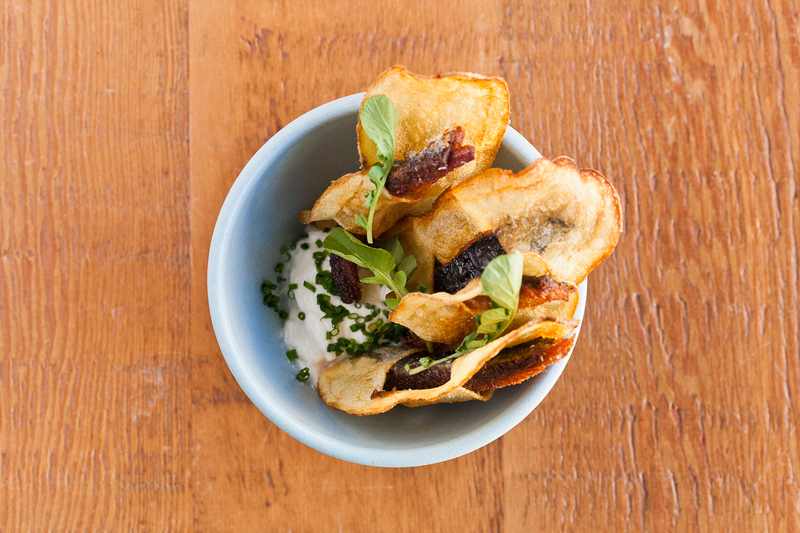 He honed the Liholiho concept over the years with a series of pop-ups before opening in 2015. The menu is divided into small, medium, and large plates, all designed for sharing. 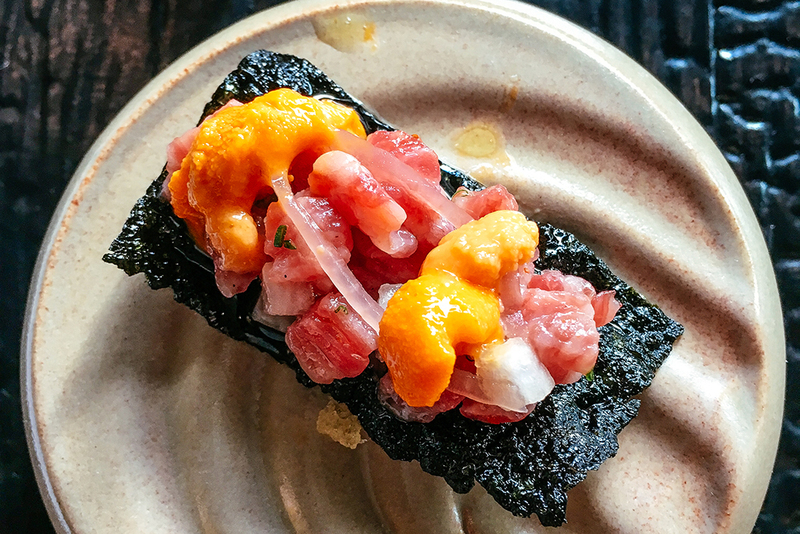 Dishes might include tuna poke on nori crackers, scallops with misoyaki pork belly, pecans, squash and grapes, or kimchi fried rice with smoked egg yolk, house-made spam and clamshell mushrooms. Save room for the Baked Hawaii, a fluffy, modern twist on the retro Baked Alaska made with carmelized pinapple ice cream and vanilla chiffon. 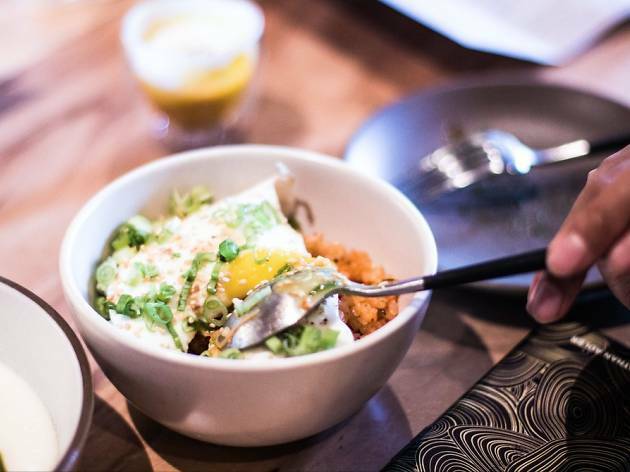 If you’ve only been to Manufactory for the line-out-the-door brunch, you’re missing out. 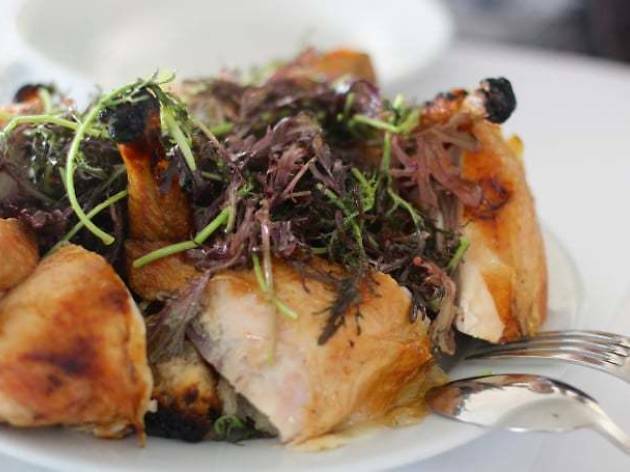 The dinner menu consists of elevated comfort food, from roast chicken and fresh pasta to deftly dressed veggies and a daily-baked array of breads and spreads. Designed by architect Charles Hemminger—the aesthetic genius behind Progress, Cala, and State Bird Provisions—the wood-on-white space is somehow both chic and calming. Giant orb paper lanterns glow overhead, glinting off the white Heath tiles and Doug fir beams. With its white tablecloths, glimmering chandeliers, and larger-than-life floral arrangements, this elegant California-French restaurant by chef Michael Tusk feels like a throwback to a more sophisticated time. The prix fixe tasting menu ($295) changes every night, revealing a choreographed array of elaborate, eclectic dishes that have earned the spot three Michelin stars. 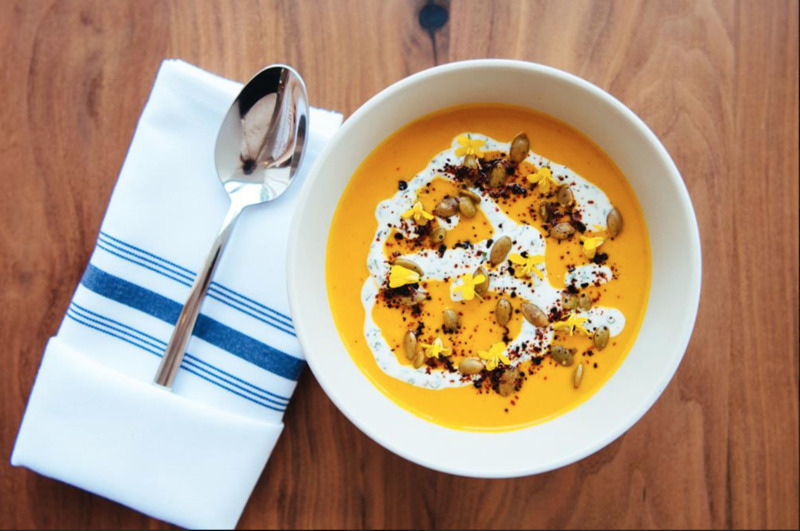 The organic fruits, vegetables, and flowers are all sourced from Fresh Run Farm in Bolinas, which supplies Tusk’s restaurants exclusively. You can opt for the more formal dining room or the salon, where there’s a menu of a dozen caviars, spanning California to Bulgaria. 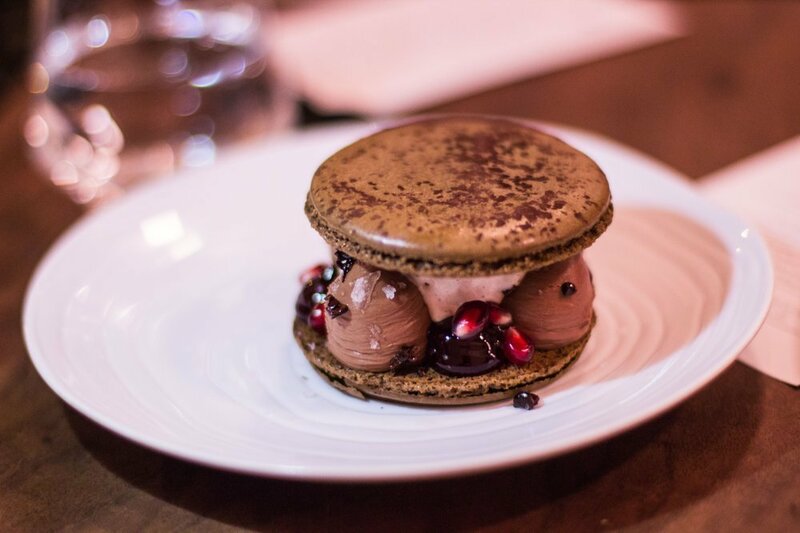 Save room for dessert, chosen from a photo-worthy cart piled with decadent sweets. China Live is a multi-floored ode to modern Chinese food in a 30,000-foot space with two restaurants, a retail market, three bars and tea café. Upstairs, Eight Tables by George Chen, the emporium's fine dining restaurant, is a refined, intimate experience inspired by the historic Chinese concept of si fang cai or "private chateau cuisine." 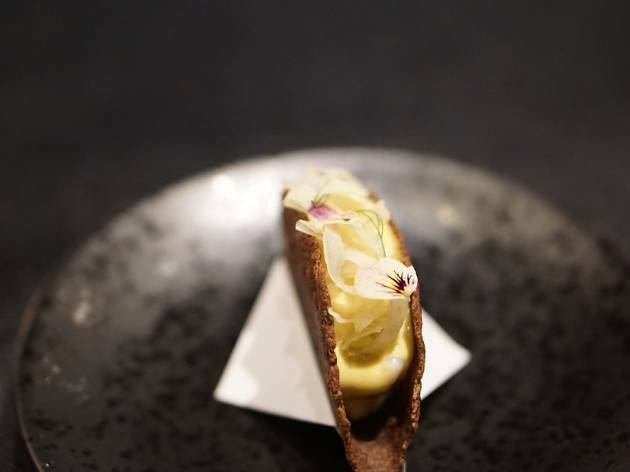 Its execution so impressed Time Magazine when it opened in 2018 that Eight Tables was named it one of the world's 100 greatest destinations to experience right now. 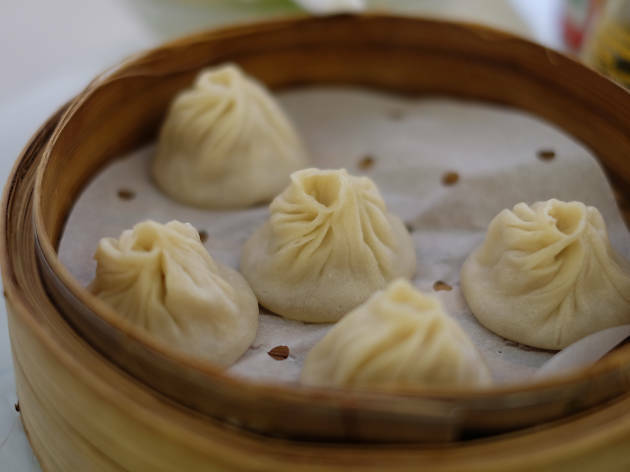 At the more laid-back first floor Market Restaurant, made-to-order Peking duck, soup dumplings and rice bowls are made at eight specialized culinary stations and served to diners seated in the cavernous yet stylish dining room. Ayala may be only months old but at its heart, it's timeless. 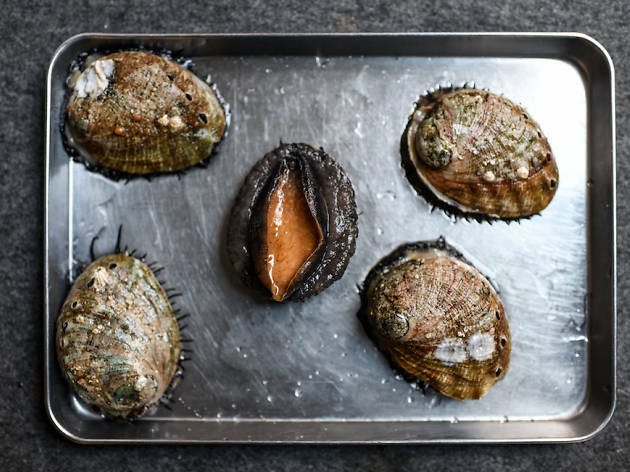 This high-ceilinged, wide-open and unadorned California seafood restaurant helmed by executive chef Melissa Perfit prepares fish and shellfish in both classic and creative ways. Along with an extensive raw bar, Louie salad and moules frites are reinvented dishes like cioppino verde made with a tomatillo-poblano broth. The cocktail program, too, curated by Julian Cox, has revamped martinis and sazeracs to include locally sourced ingredients and unusual spirits. Husband-and-wife chefs Evan and Sarah Rich serve creative, but down-to-earth fare in this wood-paneled Hayes Valley spot. For starters, that means thick, chewy slabs of Douglas fir-infused levain slathered in house cultured butter, porcini mushroom doughnuts, and addictive sardine chips dunked in a horseradish crème fraîche. 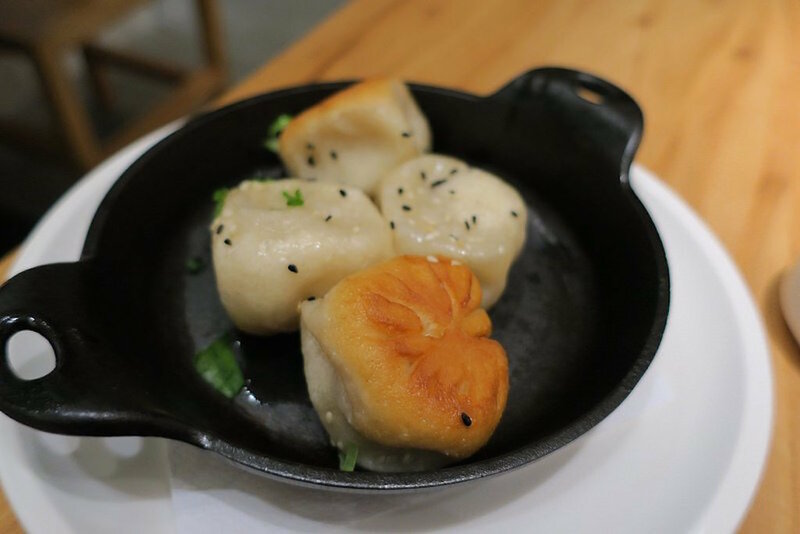 But the true standouts are the house-made pastas in bold flavor combinations, from sea urchin cacio e pepe to roasted squash dumplings with spring onion and kumquat. Spring for the tasting menu ($99) to sample a bit of everything, from salads to sweetbreads to spaghetti. This California-Italian hybrid is everything you want in a date-night spot; consider it the cool younger sister to chef Tusk’s fancier counterpart, Quince. 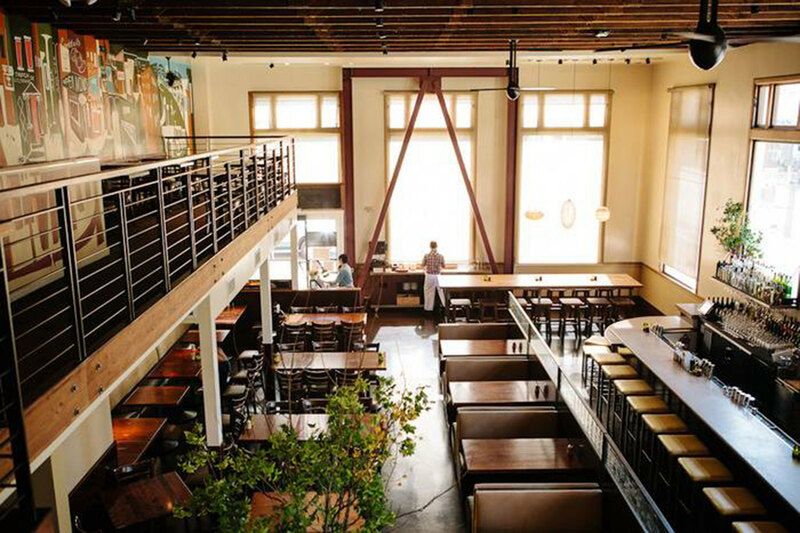 The interior is industrial but warm, with exposed brick walls and steel beams, a slatted wood ceiling, and large picture windows. The entryway offers a glimpse of the wood-fired oven, usually packed with an array of tantalizing pizzas. The menu is rustic, but refined, including a rotating selections of spit-roasted meats, grilled fish, handmade pasta and fresh, seasonal vegetables from the restaurant's partner farm. 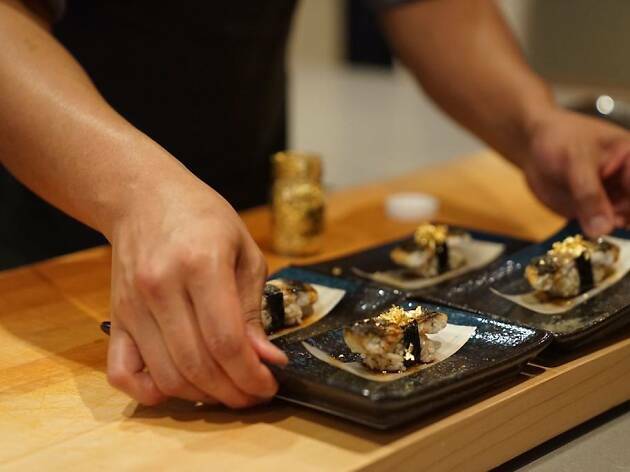 Chef Geoffrey Lee earned his stripes at Sushi Ran and Akiko’s before opening this intimate, 12-seat omakase bar. (The name translates to “twelve” in Japanese.) 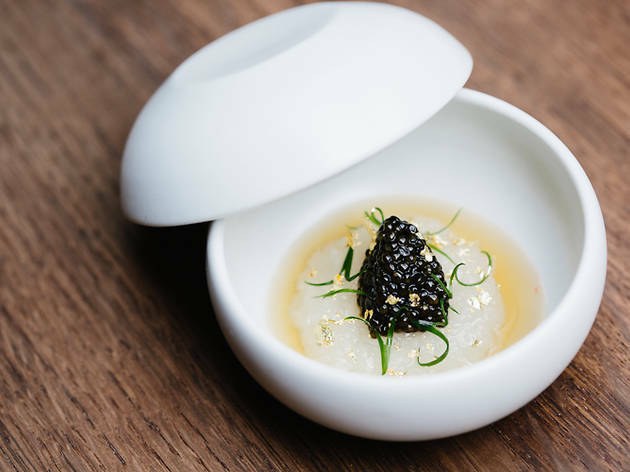 The expert training paid off—Ju Ni earned a Michelin star in 2017. 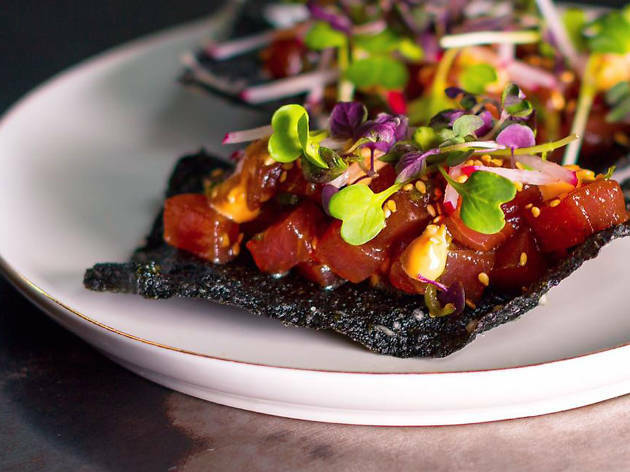 Behind the bar, three sushi chefs toil over a dozen diners, meticulously preparing each bite of a chef's menu ($165) that spans 18 eye-opening courses, from sake-cured albacore to golden eye snapper flecked with kelp salt. The fish, which is all flown from Tokyo's Tsukiji Market, might be garnished with citrus, miso butter, or yuzu-tinged hot sauce. Chef Joshua Skenes brings the fire at this rustic-chic SoMa restaurant—literally. All the cooking revolves around an open wood fire lit each morning and obsessively tended throughout the day for the wide array of grilling, searing, smoking, and roasting that depends on it. Skenes grew up hunting, fishing, and cooking over campfires in rural Florida, and he carries over that sensibility to his restaurant. The space is decked with taxidermy, stacked logs, pine cones, and exposed brick, for a cozy-woodsy feel. He and his close collaborator, Laurent Gras, work with a select group of ranchers, farmers, foragers, and fisherman to source their ingredients, shunning imported and commercial goods. Though the vibe is bucolic, the pricing is very much of-the-city: The tasting menu is a $300 splurge. 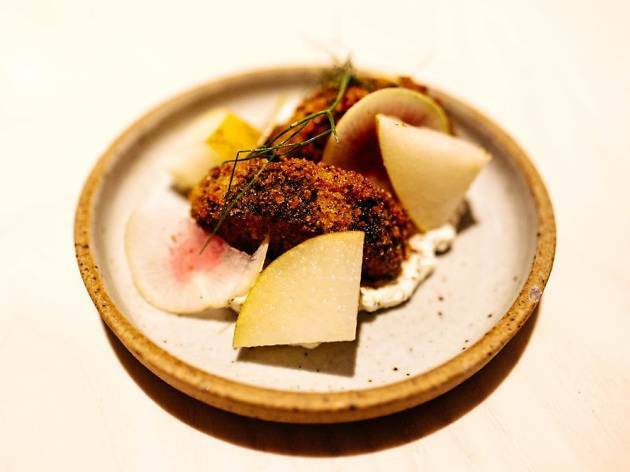 After a childhood spent cooking alongside his grandmother in India, chef Srijith Gopinathan graduated from culinary school and honed his skills at a series of high-end hotels in India. Since arriving in the U.S., he has expanded his repertoire to encompass what he calls “Cal-Indian cuisine,” imbuing farmer’s market ingredients with traditional Indian spices. The result is an exotic, high-end spin on Southern Indian food—one that has earned him at least one Michelin star every year since 2011. The Spice Route prix fixe menu ($155) features dishes like Maine lobster in a curry broth, duck breast with rhubarb and basil, and slow-cooked lamb served over basmati rice, snap peas, and cumin-lime yogurt. 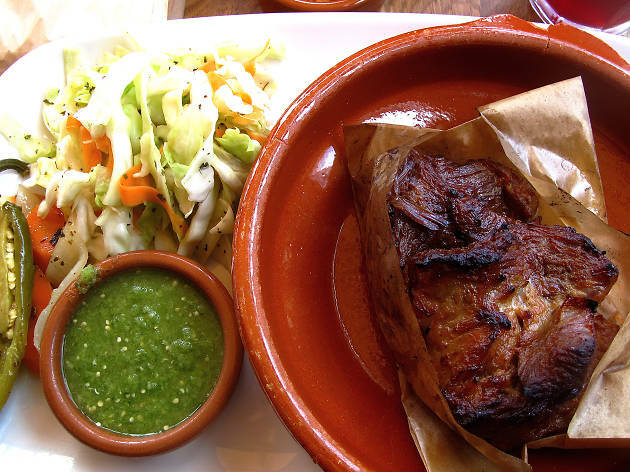 (The lamb and game bird dishes are cooked in an authentic tandoori oven.) The overall experience is decidedly high-end, from the extensive wine list to the glittering chandeliers overhead. The ambiance is colorful and informal at this Michelin-starred Thai restaurant, from the decor to the bold curries. Kin Khao—which translates to “eat rice”—is the passion project of chef Pim Techamuanvivit, who was born and raised in Bangkok. (Her stated mission: “To liberate her beloved Thai cuisine from the tyranny of peanut sauce.”) All Techamuanvivit’s produce, mushrooms, meat, and seafood is sourced from local Northern California purveyors, from Half Moon Bay to Napa. The menu is separated into bites, meats, seafood, greens, and curries. 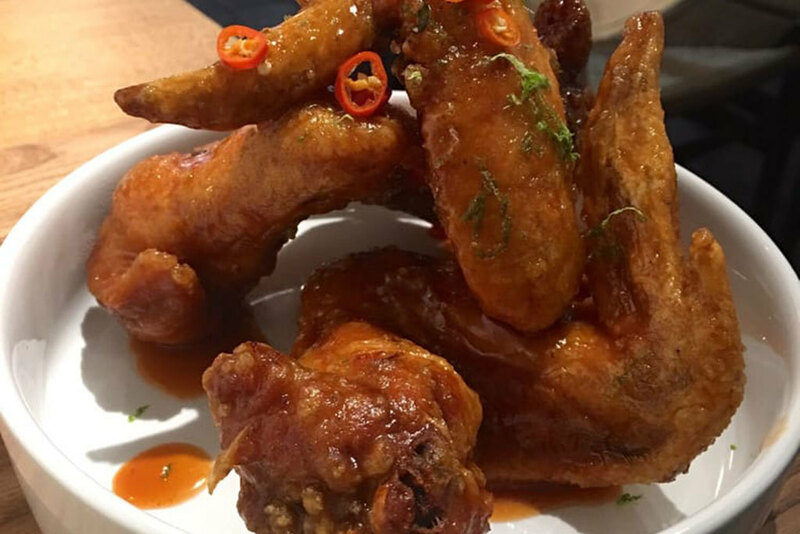 The dishes are shareable and generously spiced, from the “Pretty Hot Wings” glazed with fish sauce, garlic marinade, tamarind, and Sriracha to the caramalized pork belly. Don’t miss Kin Khao’s modern spin on curry, like the rabbit green or the massaman nuea made with braised beef cheeks. (You can sample a bit of everything with the $65 “friends and family” prix fixe menu.) Cap off your meal with the black rice pudding, a sweet, dark concoction served with caramelized jackfruit in hibiscus salty coconut cream, and a sprinkling of puffed rice, peanuts, and sesame praline. 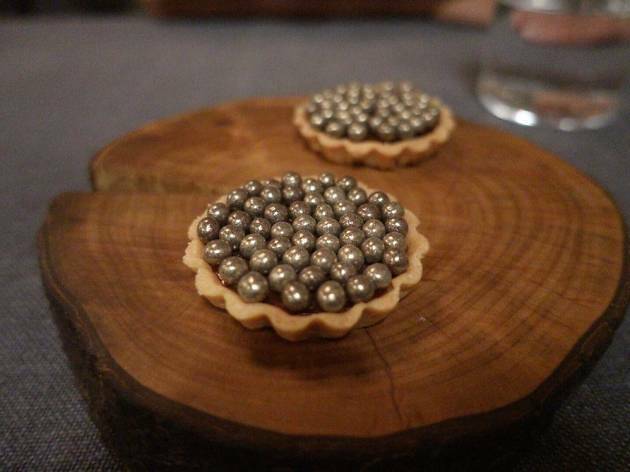 Lazy Bear began a decade ago as a self-serious supper club in the home of David Barzelay; today it’s morphed into a Michelin-starred, ticketed affair where seats often sell out a month in advance. Modeled after those original in-home affairs, guests are first invited to mingle in the restaurant’s loungey mezzanine for cocktail hour. Then they’re seated at two long, communal dining tables for a 15-course dinner while a crew of chefs slave away so that everyone in the restaurant can be served at once. The eclectic menu is set anew nightly. Splurge for the beverage pairing ($95 on top of the nearly $189-211 tasting menu), which consists of seven or eight drinks (wine, beer and cocktails) spaced out over the course of the meal. Having a hard time snagging a dinner party ticket? 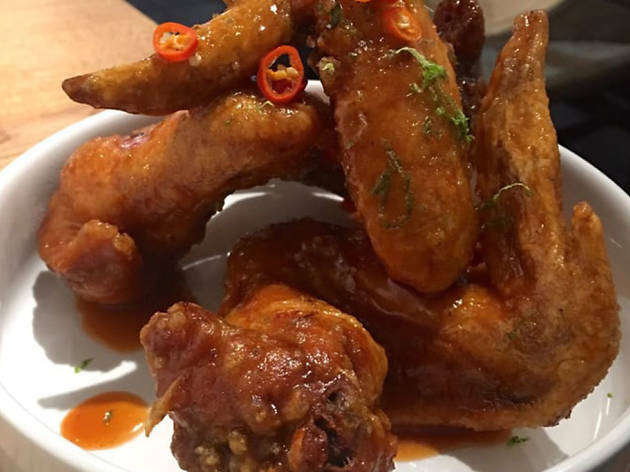 The a la carte spin-off, the Lazy Bear Den, skews more casual, with snacks, skewers, and cocktail-friendly bites. 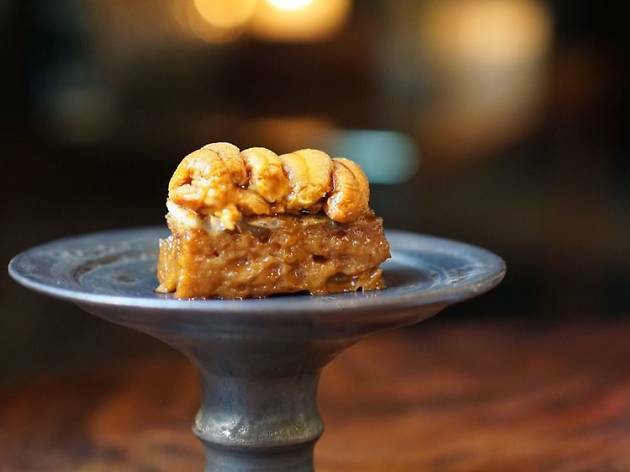 Chef Mourad Lahlou’s Michelin-starred Moroccan restaurant blends old-world flavors with modern cooking techniques and design. The glamorous 6,000-square-foot space is modeled after a grand Moroccan home, decked with intricate tiling, vibrant rugs, and twinkling lights. 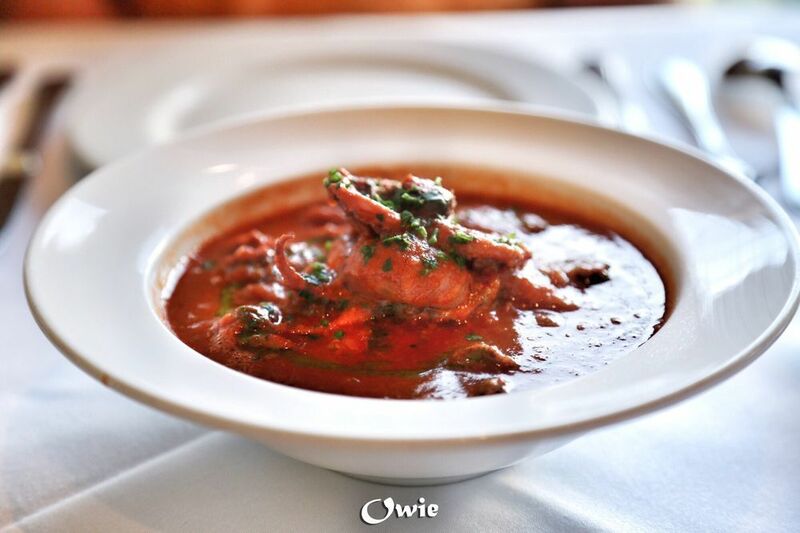 The highlight of the menu is the La’acha family-style dishes, such as lamb shoulder cooked with moyer prune, cumin, almond, and chicories, or snapper served alongside calcot onion, radish, summer beans, and charmoula. Pair your meal with a European red, displayed in the glass-encased wine cage suspended above the lounge. You might not notice this hole-in-the-wall Nob Hill seafood joint if it weren’t for the long line outside. Part market, part restaurant, Swan Oyster Depot has been hocking fresh seafood since four Danish brothers started the business in 1912. 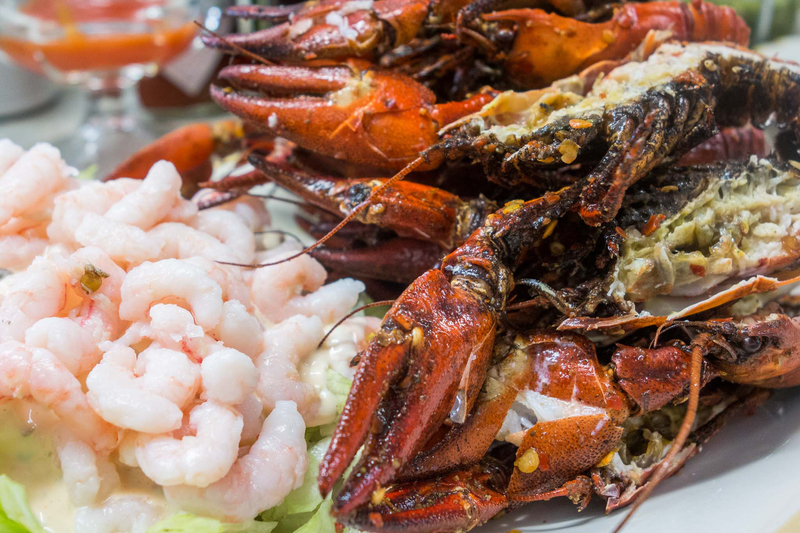 Belly up to the bar to indulge in local oysters, Dungeness crab, chowder and smoked fish. 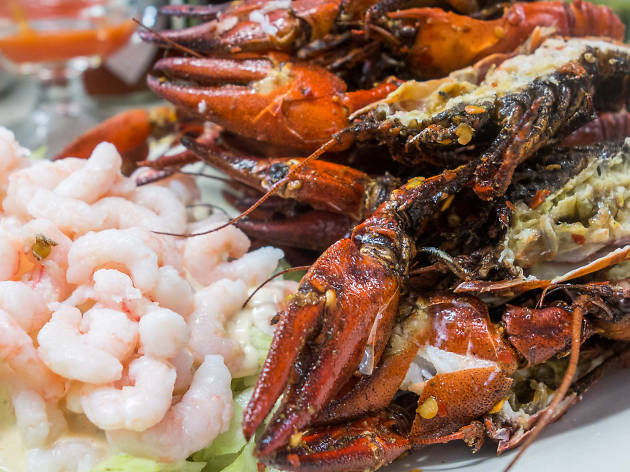 If you’re looking for something a little different try one of their secret menu offerings like Sicilian sashimi (thinly sliced raw salmon, tuna and scallops drizzled in olive oil) or Crabsanthemum (crab legs in a flower arrangement with Louie sauce). Cash only. 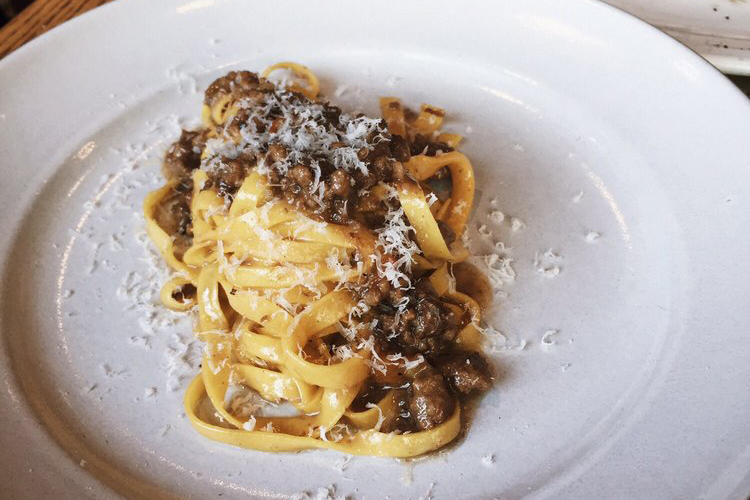 This little Italian joint has singlehandedly upped the foodie-cred of San Francisco's outerlands since opening in 2016. 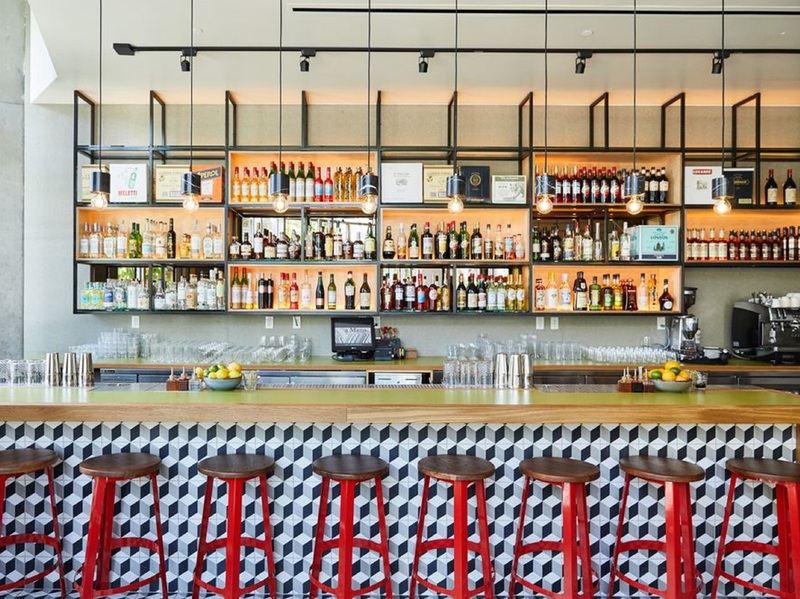 From the wood-fired pizza oven to the creative toile wallpaper featuring Bay Area legends, Fiorella is as much a neighborhood spot as it is a destination one. 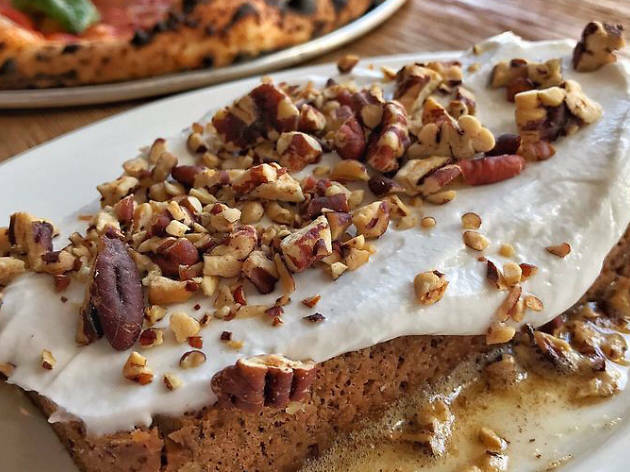 Helmed by chef Brandon Gillis and Boris Nemchenok of Lower Haight's Uva Enoteca, the menu here is full of well-executed classics like spaghetti alla cacio e pepe and spicy salami pie with marinated onions, chilis and provolone picante. 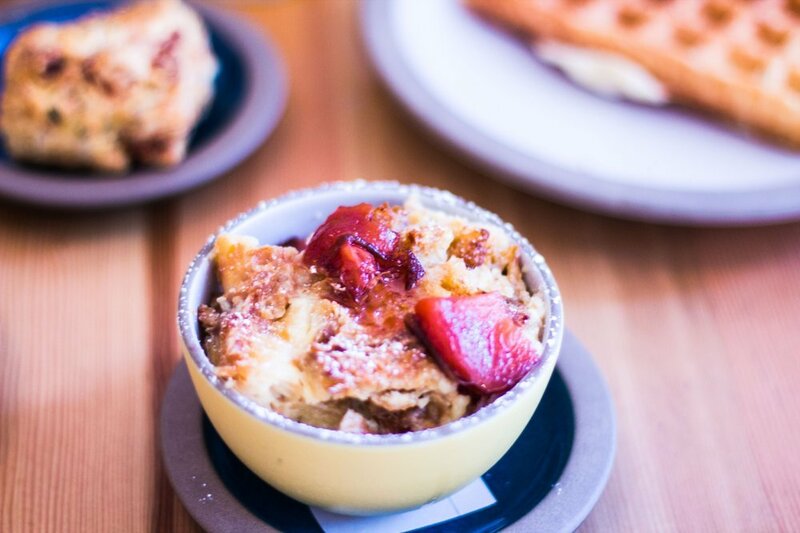 Brunch ranges from the sweet banana bread with whipped coconut, hazelnuts, cocoa and coconut crisps to the savory green, egg & ham pie (broccolini with egg, pancetta, fior di latte and Bellwether ricotta). 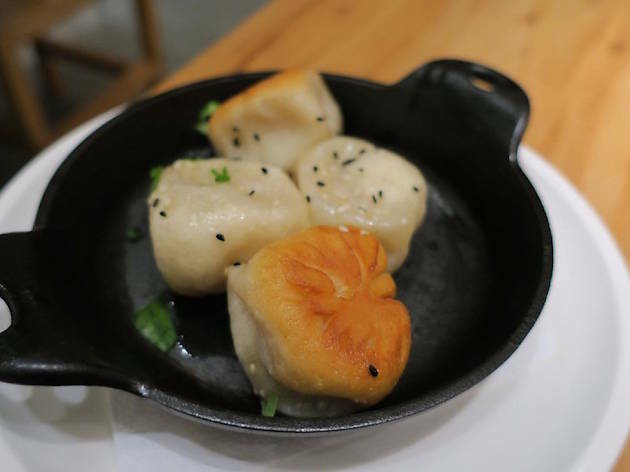 If the Outer Richmond feels too far to travel, Fiorella opened a new outpost on Russian Hill in March 2019. Bar Agricole alum Brandon Jew opened this ambitious homage to Cantonese food in 2016, melding traditional flavors and modern cooking techniques. Located in the former Four Seas space, the sunny, airy dining room presents a mashup of old and new, from the minimalist, mid-century wood furniture to the ornate gold floral chandeliers overhead, salvaged from the space's last tenants. 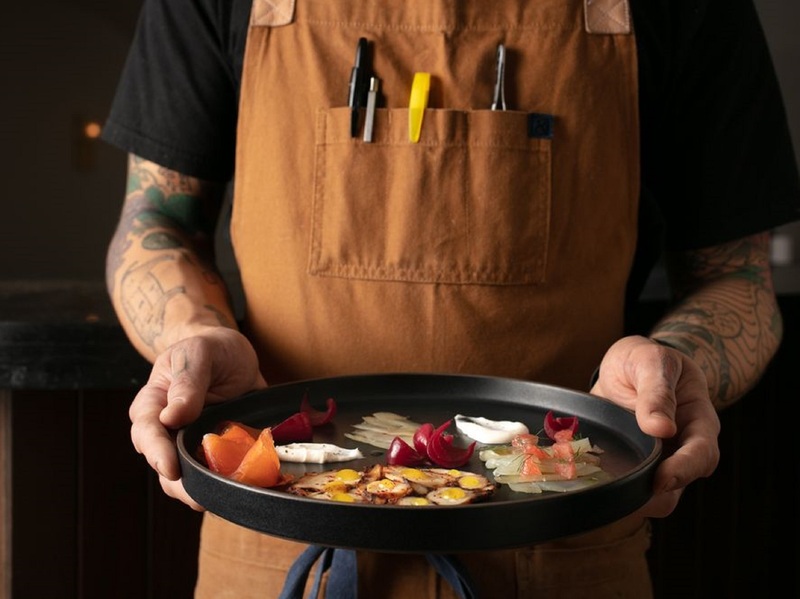 The restaurant serves inventive twists on classic dishes—think Dutch Crunch BBQ pork buns, chicken feet terrine flavored with lime, chili, and sorrel, and Hodo tofu skin served with sungold tomatoes, purslane, and cured egg yolk. The vibe is lively and fun, from the open kitchen to the spicy, sweet, and tea-steeped cocktails by bar manager Danny Louie. (The beer line-up is equally impressive, featuring brews hailing from Belgium to Chicago to Baltimore.) Request a table with a view of the Transamerica Building out the window. 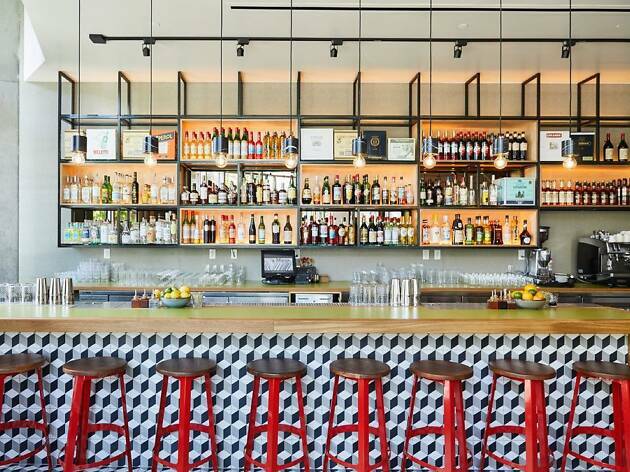 Since opening in 2007, this Presidio Heights restaurant has been a neighborhood favorite. The ambiance is one of old-school elegance, from the Baccarat crystal chandelier overhead to the dark mohair walls. Chef Mark Sullivan, formerly of Slow Club and 42 Degrees (RIP), turns out classic dishes that emphasize local ingredients. He relies on SMIP Ranch, a private farm near Woodside, for his supply of just-picked herbs, vegetables, and fruits. Spruce is particularly beloved by oenophiles: The wine list features more than 2,500 bottles from around the world. In addition, the restaurant works with distillers and wine-makers to create its own house spirits and wines, including a single barrel Kentucky bourbon, a single malt scotch, a Willamette Valley pinot noir, a German riesling, and an array of gins. Most know Outerlands for its perpetually-slammed weekend brunch, which includes Instagram-famous dishes like the Eggs-in-Jail and cast iron Dutch pancakes. But at night, the restaurant becomes the ideal neighborhood spot. Candlelight flickers off the driftwood-collaged walls, regulars congregate around the polished concrete bar (the cocktails are excellent), and the scent of baking bread and braised meats fill the air. 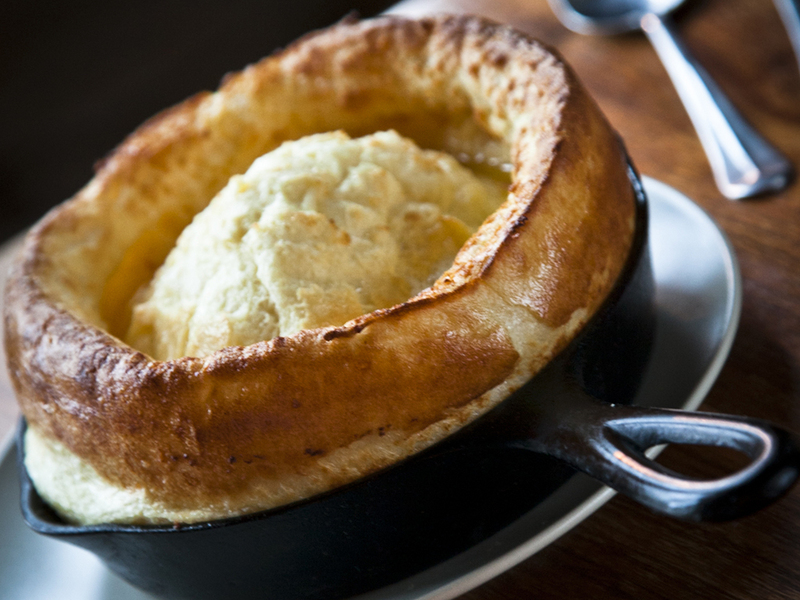 Whatever you do, start with the bread and butter, which is baked in house and is some of the best in the city. 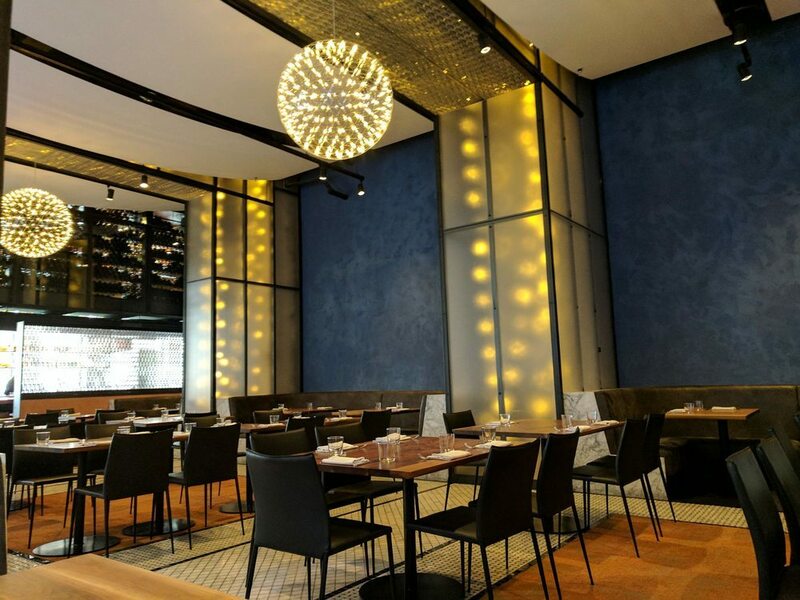 The rotating menu marries inventive flavor profiles and seasonal ingredients in salads, roasted vegetable starters, steak, ricotta dumplings, clam and mussel stew, and butter drenched fish. 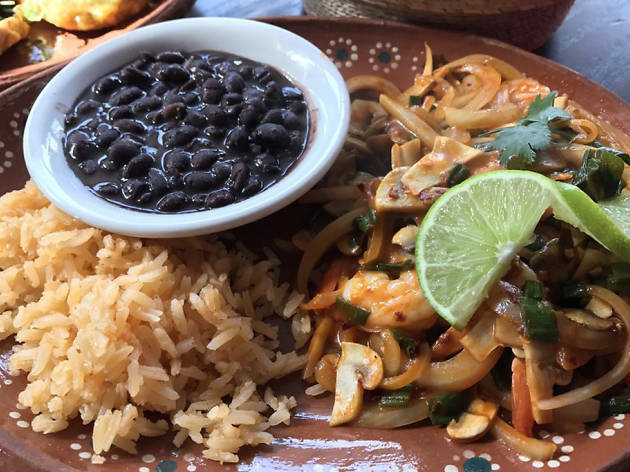 At Nopalito, the authentic flavors of Mexico are combined with local, sustainable and organic ingredients to create the complex, slow-cooked deliciousness honored by our neighbors to the south. Here you’ll find traditional dishes like pozole rojo, a soup of pork shoulder, hominy and ancho chile, and gorditas campechanas, fried tortilla pockets stuffed with braised brisket, red chorizo, pinquito beans and queso fresco, as well as an offering or two featuring the restaurant’s namesake, nopales (tender cactus paddles). The indoor-outdoor heated patio at the original location is pleasant no matter the weather outside but both the original location, and that in the Inner Sunset at 9th and Irving, have lively Mexican-inspired indoor spaces. 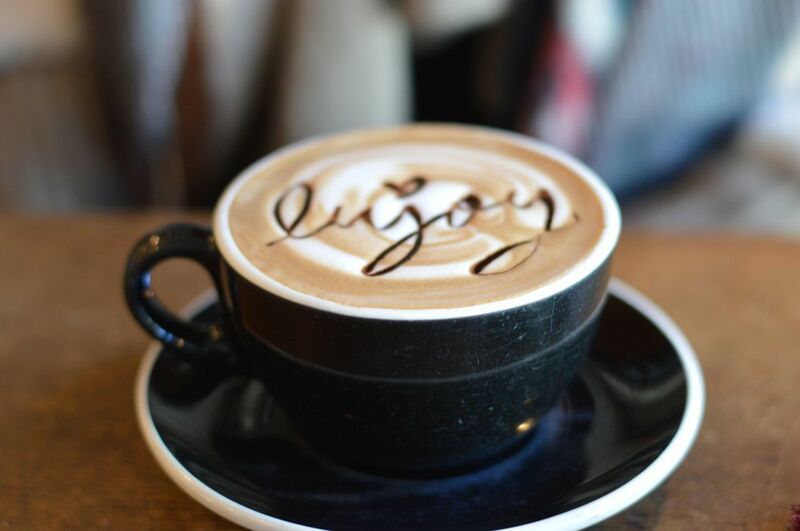 While the top restaurants in the city center tend to lean towards high sophistication, those in the outerlands cultivate a friendlier, neighborhood atmosphere. The Outer Richmond's Cassava is no exception: This is a community gathering place that just *happens* to have an out-of-this-world menu. Husband-and-wife team chef Kristoffer Toliao, who cooked for several years under Dominique Crenn, and GM Yuka Ioroi are responsible for a menu of complimentary modern California flavors like Spanish octopus and pork chop with rutabaga-green garlic sauce, cream of brussel sprouts, sugar snap peas and garlic oil, and buttermilk fried chicken with sous-vide chicken thigh and chipotle aioli. 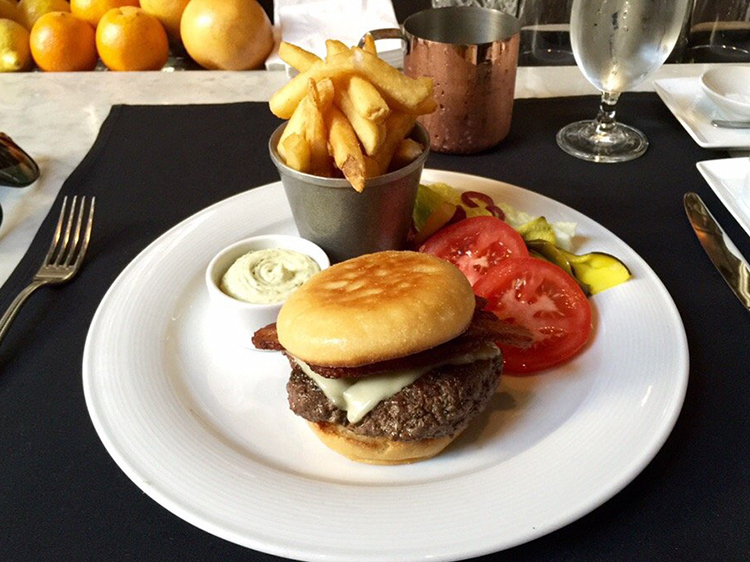 A four-course tasting menu is a steal at just $48 (with a beverage pairing for an additional $34). Cassava is also open for breakfast and lunch on weekdays and weekend brunch. This cozy, narrow neighborhood restaurant serves peak Californian cuisine. All the ingredients are sourced from Northern California farms and local city markets, and the menu changes daily according to what’s fresh. Chef Melissa Perello named the restaurant after her grandmother, aiming for a homey, comfortable vibe. The food is refined without being intimidating, from a red snapper served with cranberry beans, tomatoes, kaffir lime, and red pepper jus to the spaghetti topped with basil, garlic, Sungold tomatoes, Grana Padano, and uni butter. Start with the chickpea fritters and order a smattering of the vegetable sides to share. 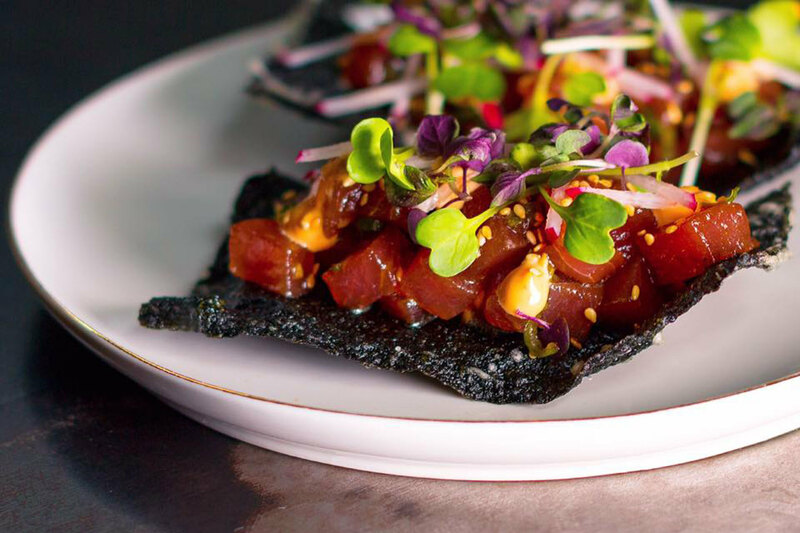 Named for chef Mitsunori Kusakabe, an alum of Nobu and Sausalito's Sushi Ran, this restaurant has made a name for itself as one of the best sushi spots in the city. Omakase (chef's choice) is the only option here—either 8 courses for $98 or 11 for $168—and they're well worth it. 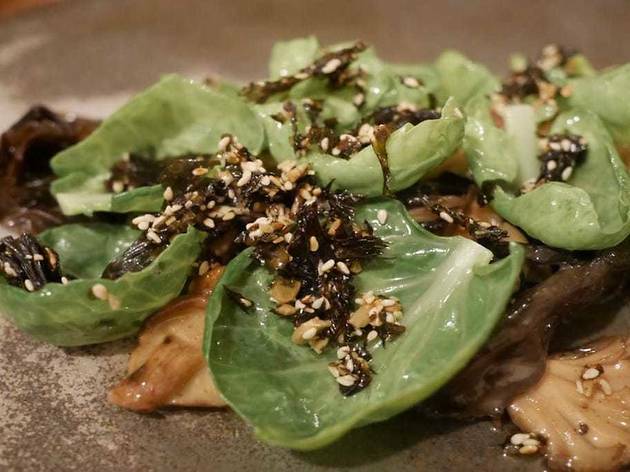 Dishes like shiizakana with braised white eel, monkfish liver, buckwheat risotto and wasabi leaf are carefully calibrated to balance taste, color and cooking methods (raw, roasted, steamed, fried, simmered). 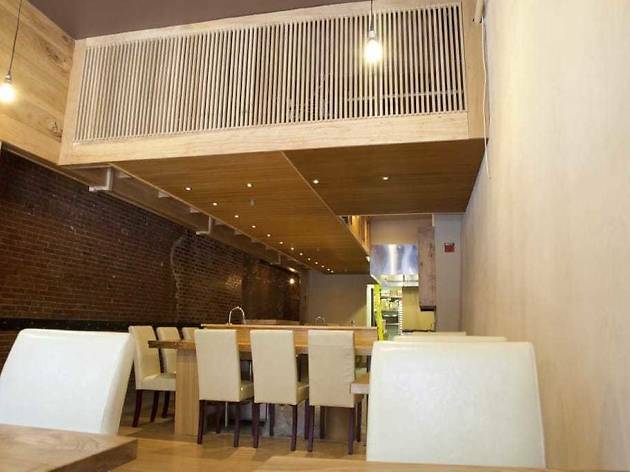 It's a meal that takes time so order from KUSAKABE's extensive sake selection and settle in for an experience. 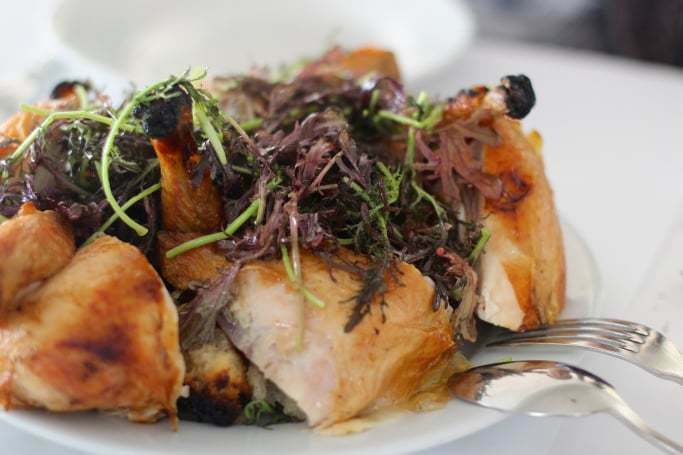 This 48-seat bistro serves upscale comfort food in an unpretentious setting. Owned by Paul Einbund, formerly the beverage director at Frances, the menu is inventive and a little fun, featuring items like a Chartreuse slushy, fried pork cracklins served with honey and cayenne, beef rib with chicories and mushroom bordelaise, and buckwheat doughnuts dunked in a whisky creme anglaise. If you’re hungry, consider the smoked duck, which can be ordered whole ($140) or halved ($70). This Bernal Heights cafe is serving up authentic Chilango cuisine from Mexico-born chef Isabel Caudillo in a bright, casual space on Mission. Come for tacos, sopes and tostadas on housemade tortillas in slow-cooked varieties like tinga (pulled chicken simmered in tomato, onion and chipotle) and chicharron in salsa verde. Stay for family-style guisados and platos fuertes (served in small, medium and large formats, including different styles of mole. Saturday and Sunday brunch features a variety of Mexican delights including irresistable chilaquiles smothered in red or green sauce. 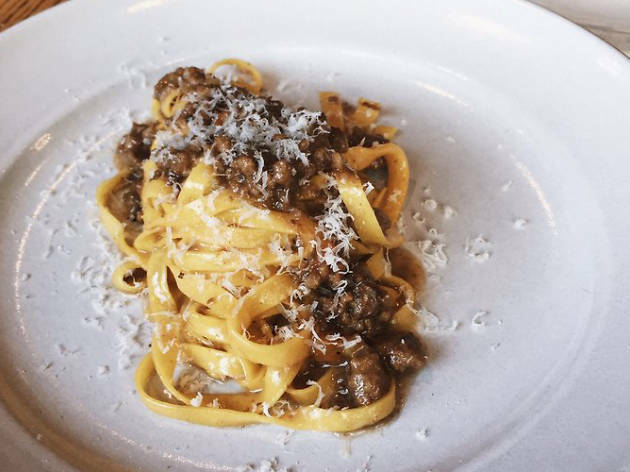 This cozy Noe Valley mainstay is known for its neighborhood vibe and Italian hospitality. 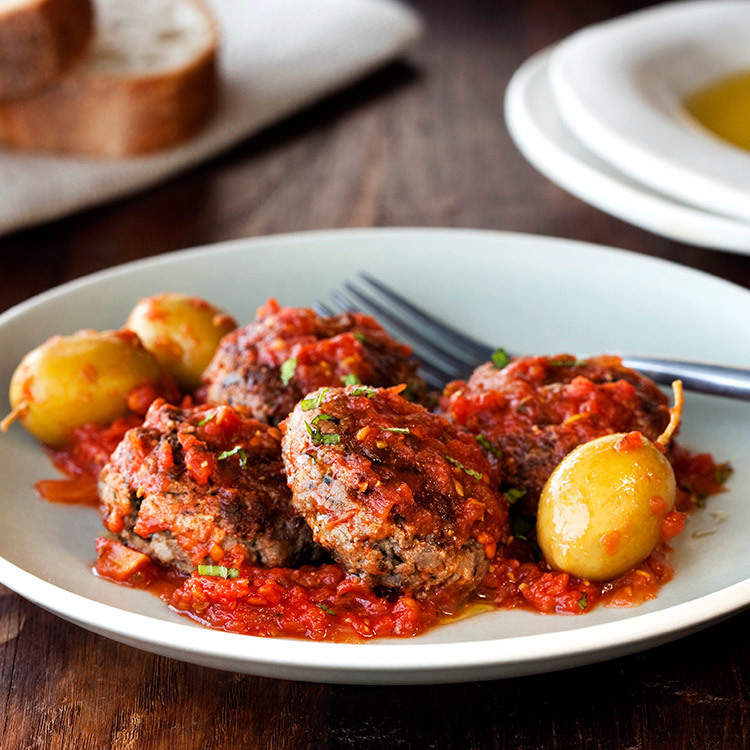 Co-owner Massimiliano Conti cooks recipes from his native Sardinia using organic produce and sustainable fish. Even the wine list is all Italian. The space is narrow and intimate, lit by candlelight and dotted with crisp white tablecloths. 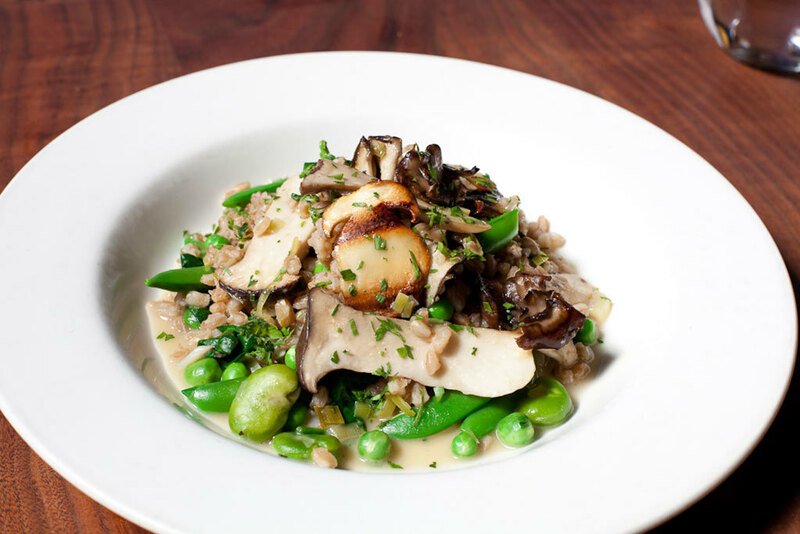 The specials change frequently, but a few local favorites are in regular rotation. 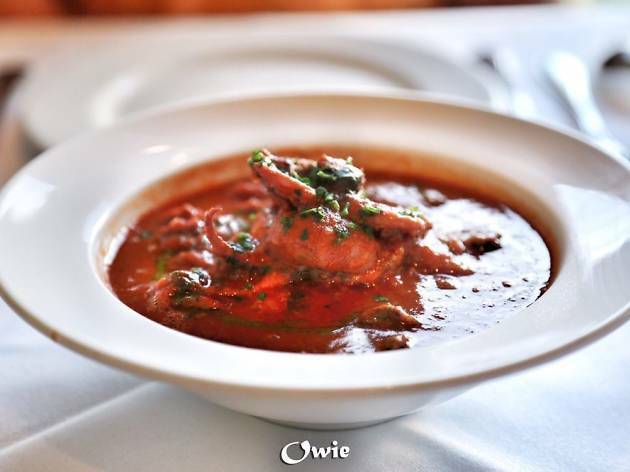 One is the Prupisceddu in Umidu cun Tomatiga, a baby octopus stew in a spicy tomato base. 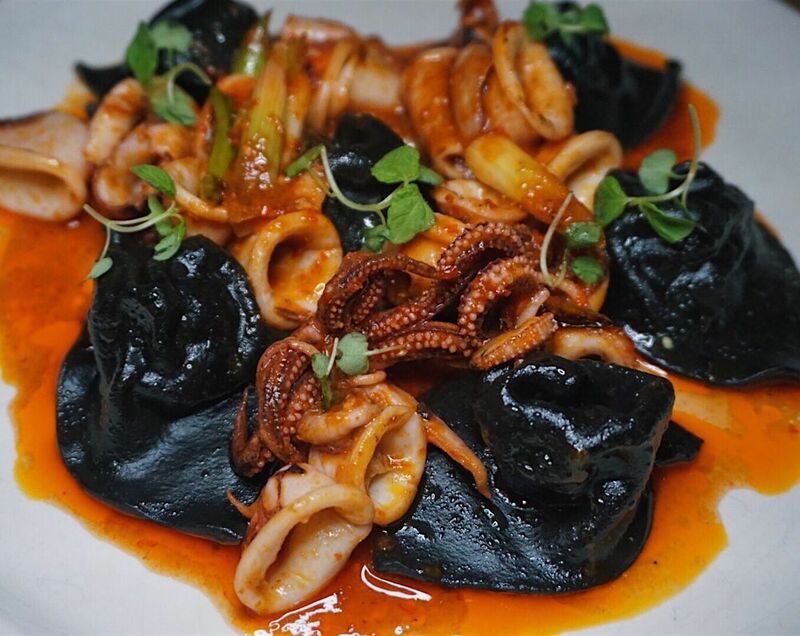 And if you see squid ink pasta on the menu, it’s a must-order: It’s laden with fresh seafood and deftly flavored with citrus zest. Owned by Miguel Jara for nearly 50 years, this modest Mission taqueria has rightfully earned national acclaim. 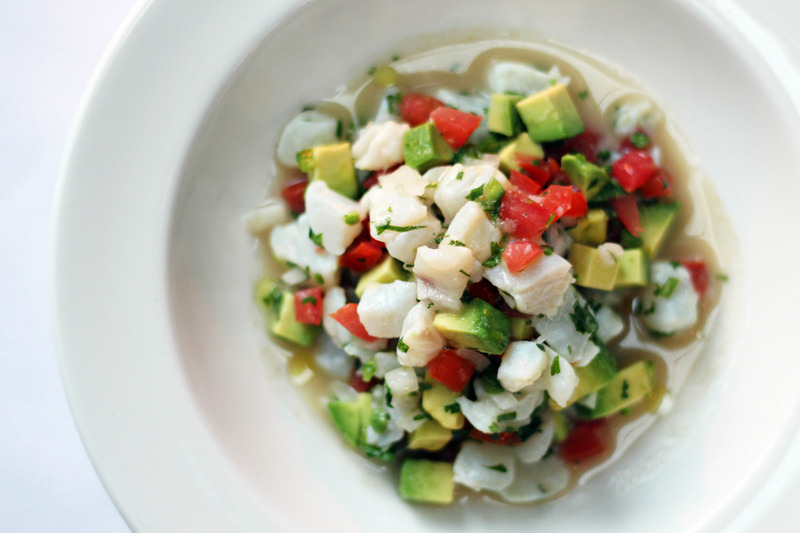 Jara opened the spot in 1973 serving simple, authentic recipes cribbed from his mother and tasting tours across Mexico. 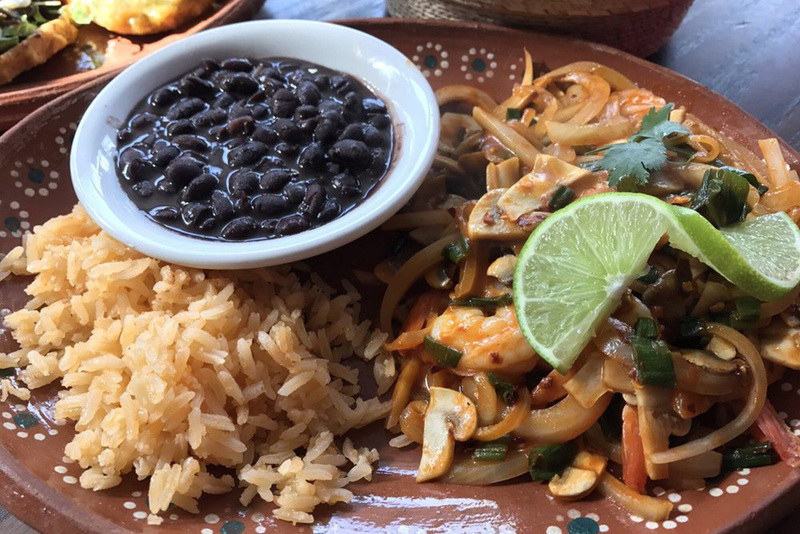 La Taqueria has since been named a “classic” American restaurant by the James Beard Foundation, as well as the best burrito-maker in America by FiveThirtyEight. 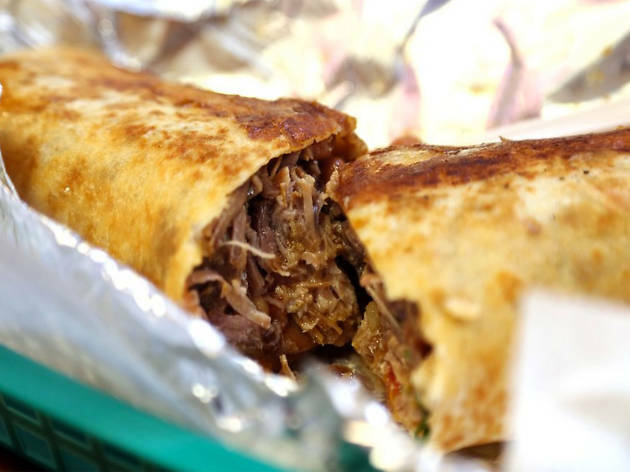 It’s known for quintessential Mission-style burritos, expertly rolled by Jara’s staff of longtime employees. That infamous concoction consists of pinto beans, meat, salsa, monterey jack cheese, and avocado, all smothered in hot sauce and bundled into a fresh flour tortilla. (No rice; that’s just filler that detracts from the meat, according to Jara.) 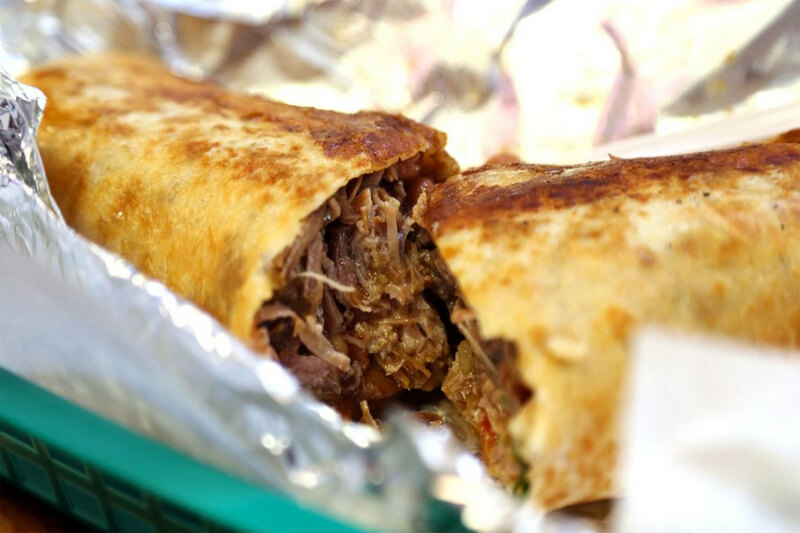 The carnitas, which are slow-cooked for hours with orange, garlic, and salt, are the way to go. 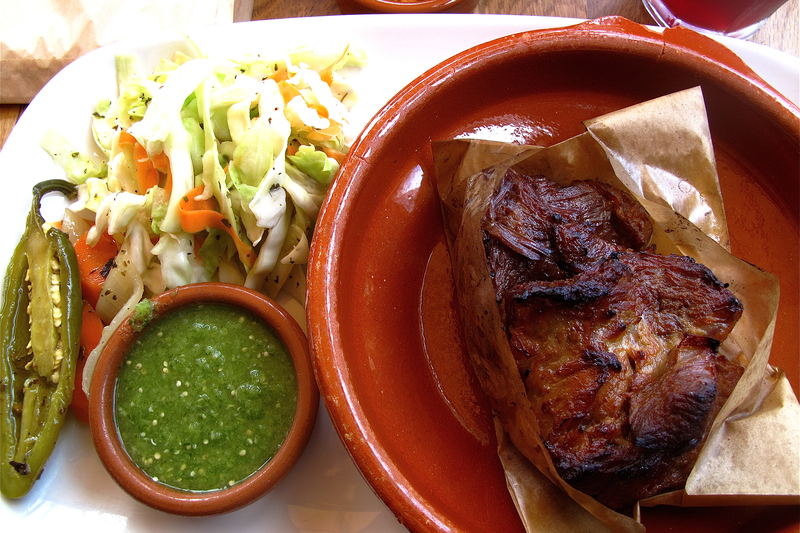 Regulars know to order their burrito dorado-style: seared on the grill for a crispy, golden-brown finish. Acquarello may be one of the oldest restaurants on this list but it’s far from stuck in its ways. The Italian favorite keeps things innovative by showcasing talented young chefs alongside the expertise of master chef-partner Suzette Gresham. In one of the most Old World refined dining rooms in town, diners revel in a prix fixe ($105 for three courses, $130 for four, $150 for five) or seasonal tasting menu ($205) showcasing dishes like the decadent Dungeness crab risotto with asparagus, cured egg yok and oxalis. 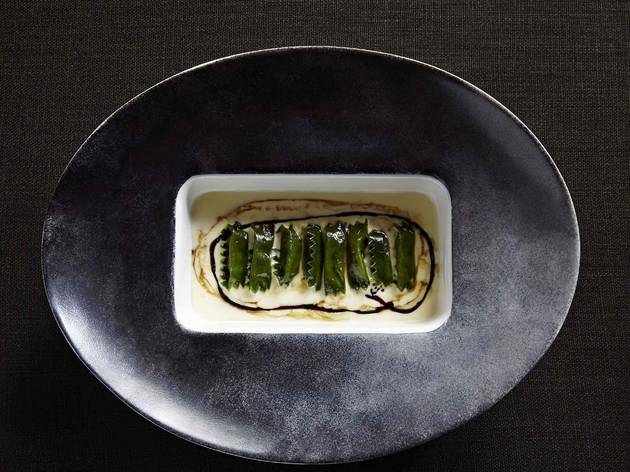 A two star Michelin restaurant, Acquarello is not just a place to celebrate, its food is a celebration in-and-of itself. The massive banquet-hall style dining room at Yank Sing's original Financial District restaurant isn't much to look at but that's okay. Your eyes will be glued to something far more interesting—the rolling dim sum carts of dumlings and fried delights circulating through the room. 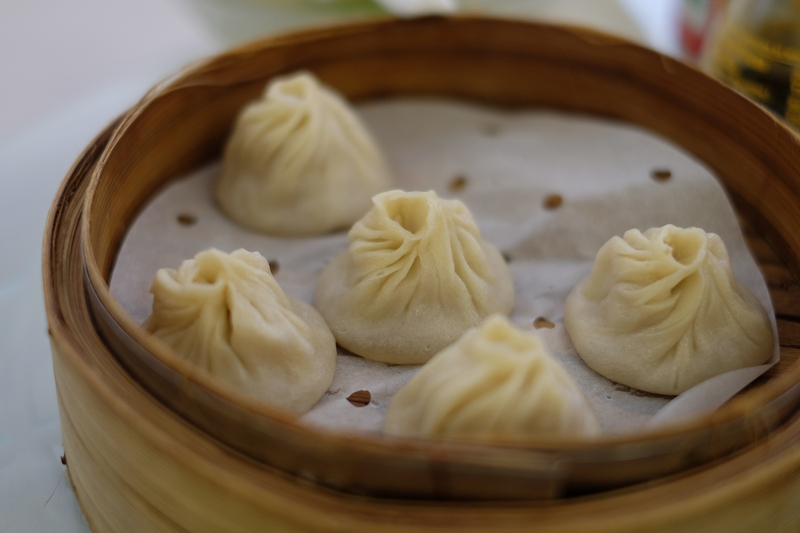 Select from a variety of dumplings and rolls like the taro root stuffed with shitake mushrooms, shrimp, pork and scallions and the signature Shanghai, a soup dumpling filled with minced kurobuta pork, scallion, ginger. Don't skimp on the sweet options, especially Yank Sing's famous custard cream rolls. Grab dim sum to take away at Yank Sing 2 Go next door. Fittingly for a restaurant situated in a museum, In Situ transforms food into fine art on a global scale. The menu is the result of foodie crowdsourcing: Chef Corey Lee contacts renowned, boundary-pushing chefs around the world—from Chicago to Berlin—to contribute a dish and its recipe, which he faithfully recreates using local ingredients. 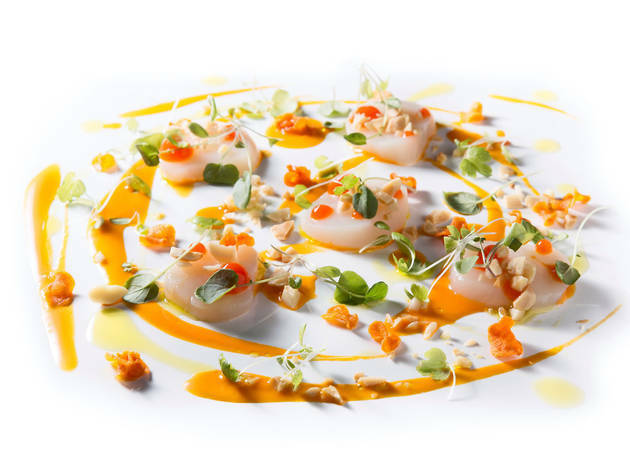 The resulting 14-dish menu, which notes the name of each dish’s creator, their location, the ingredients, and the date it was conceived, is a dazzling display of ingenuity and inventive flavors. 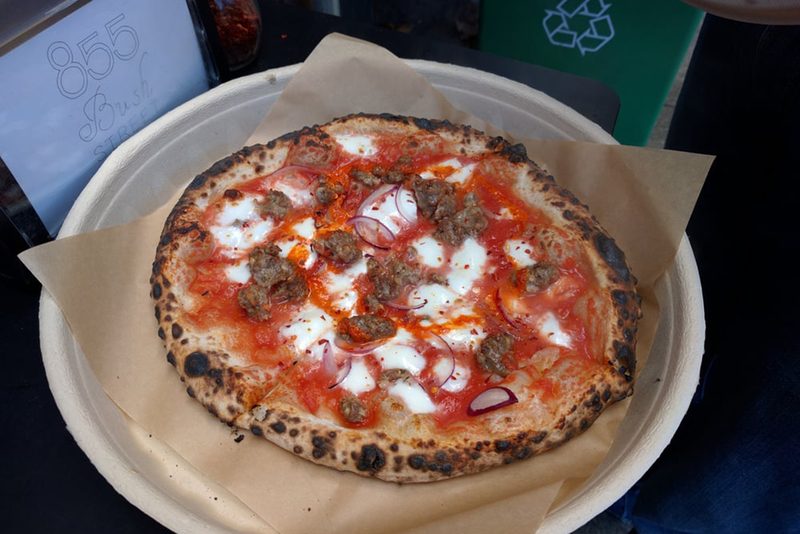 From humble beginnings as a mobile food truck pizza oven, Del Popolo has graduated to one of the city's best Neapolitan pizza purveyors. The stylish pizzeria boasts long wooden communal tables and a half-moon green tiled bar, behind which sits the massive wood-fired pizza oven. Small plates like cauliflower tempura served with horseradish crema and dill and charred mixed chicory with lady apple, pecorina jagas and hazelnuts hold their own against beloved classic thin-crust pies including two types of margherita and a mouthwatering bianci made with mozzarella, ricotta, basil and garlic. 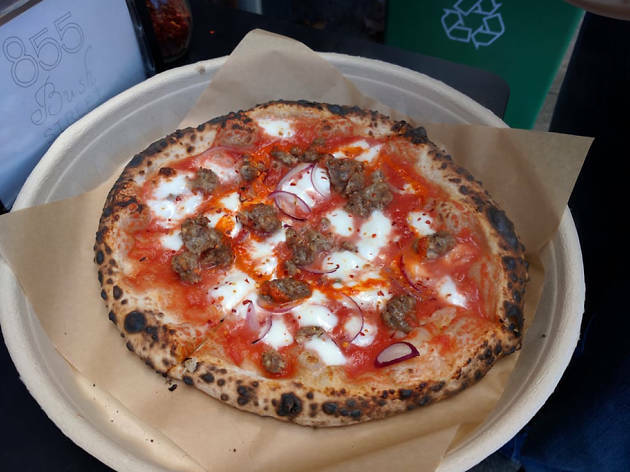 If you can't make it to the Lower Nob Hill restaurant, keep an eye out for the Del Popolo truck—it's still making rounds at Off the Grid events around the city. 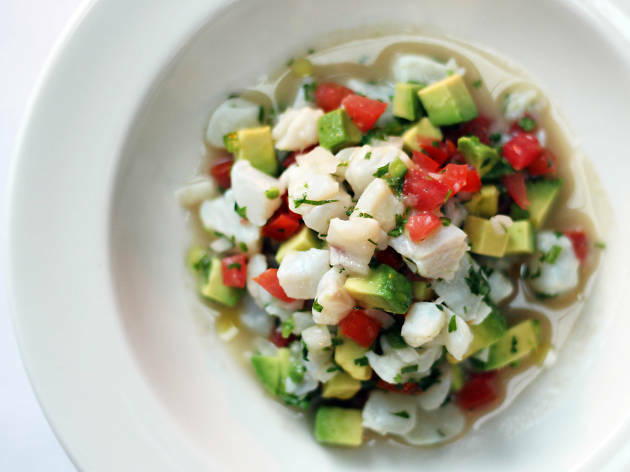 Famed Mexico City chef Gabriela Cámara picked San Francisco to open her seafood-centric Mexican wunderkind, Cala. Cala presents sophisticated coastal delights like trout tostadas with chipotle, avocado and fried leeks and mussels over toast with carnitas and shaved egg in an upscale warehouse space in Hayes Valley. Latin American-inspired cocktails like the Sangria Aneja (anejo, jamaica syrup and fresh citrus) beautifully complement the food. If you’re in the mood for a quick bite, the semi-secret Tacos Cala at the rear of the restaurant in the alley rotating D.F.-style tacos de guisado are served daily in a tiny, standing room only taqueria. 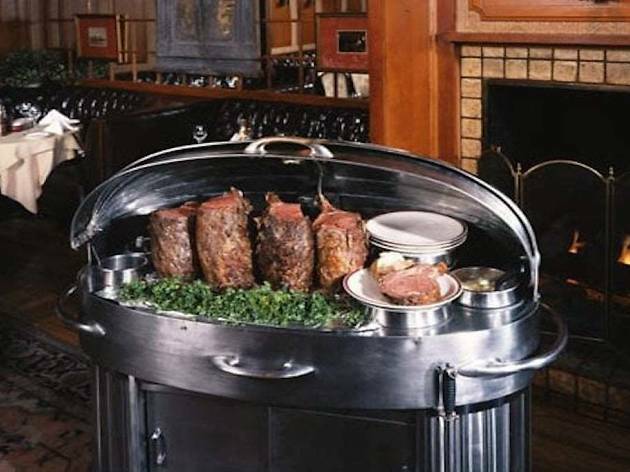 Seventy years after first opening, the House of Prime Rib can still be found on almost every "best of" list featuring San Francisco food. It's just that good. The old school restaurant hasn't changed much over the years, and that's part of its charm. The dining rooms are still dominated by white tablecloths, oversized red booths, wood paneled walls and a fireplace. 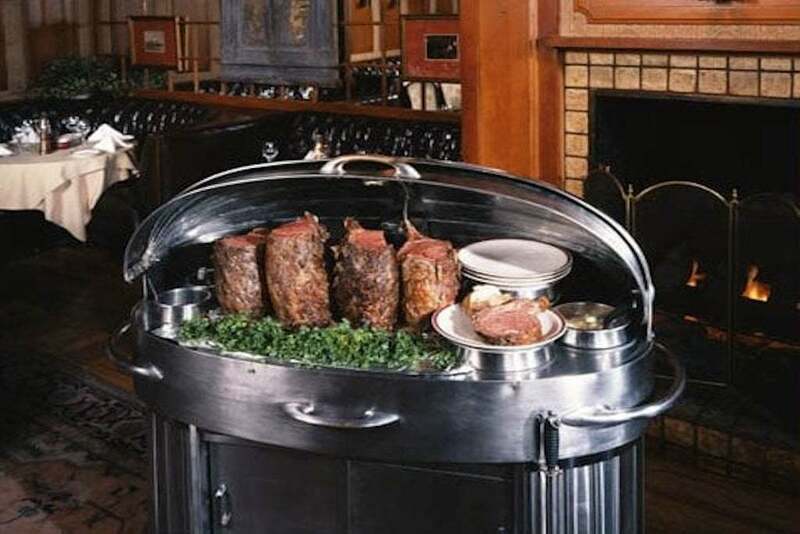 The simplified menu boasts five different cuts of prime rib, served to diners directly from rolling carving carts, and classic accompaniments like mashed potatoes, Yorkshire pudding and creamed spinach. On the cocktail menu, find simple favorites like martinis, Manhattans and cosmopolitans that fit perfectly in this perennially mid-century establishment. 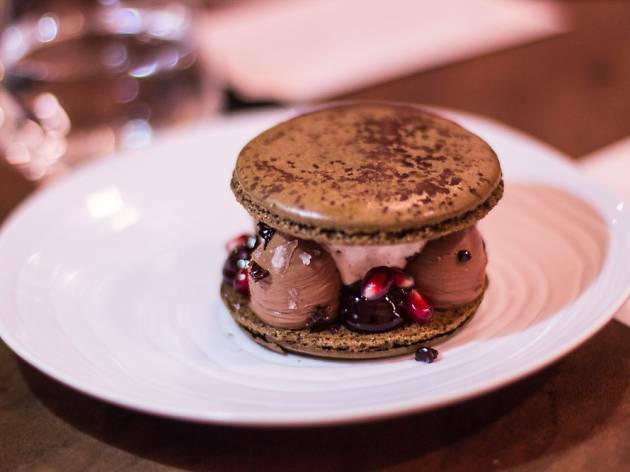 Bounded by a dark blue-stained wooden paneled accemt wall and whimsical sci-fi art, PRAIRIE, which opened late last year, is one of the city's most talked about new restaurants. Here, the former chef at Delfina, Anthony Strong, is combining Italian and Asian flavors to build creative dishes like bone marrow with snails and mochi wrapped with guanciale. 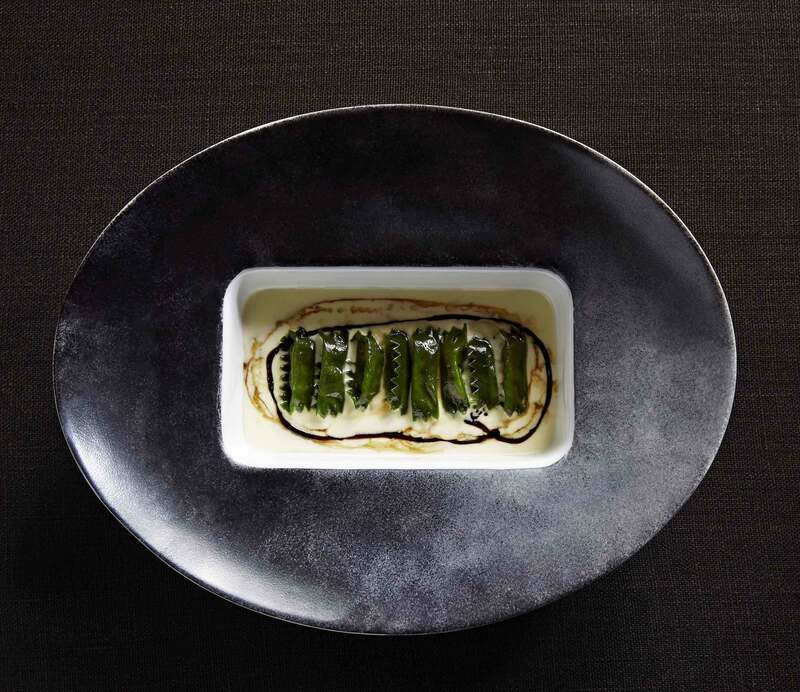 Charcoal grilled goodies from garden, ocean and land dominate both the menu and the scents wafting from the kitchen. Cocktails like Becky with the Good Hair, made with the sour sea buckthorn and gin, deliciously complement the meal. The appropriately named a Mano ("by hand" in Italian) takes has a thoughtful, ground-up perspective on food. Influenced by seasonal, California flavors the restaurant's Italian food remains nonetheless approachable—both in flavor and cost. In the light, bright dining room accented by a playful geometric bar, you'll find a range of hand-made pastas like ravioli with nettles, chard, walnuts and ricotta, pizzas like the spicy salsiccia, tomato, provolone piccante, olive and red onion, and a meaty nightly special (ranging from Sunday's ossobuco to Tuesday's short ribs). The drink menu is rooted in Italian classics including Amari and wines from the Old Country. Unlike typically spare sushi spots, this new Japanese restaurant embraces color and texture, from the fuchsia and rose mosaic behind the bar to the watercolor blue wallpaper. Chef-owner Adam Tortosa trained under Katsuya Uechi in Los Angeles and previously worked at Akiko’s. The omakase-style menu progresses from lean to fatty fish, from a starry flounder served with Meyer lemon, shiso, and blood-orange kosho to a bluefin shoulder marinated in poblano soy. The seafood is skillfully complemented by citrus, spice, and soy (even a layer of black truffle, if you’re feeling decadent…). The furniture, dishware, and decor are sourced from local artisans, and the fish hails from California and Japan. Skip the beer in favor of the extensive sake list, available by the bottle or glass. 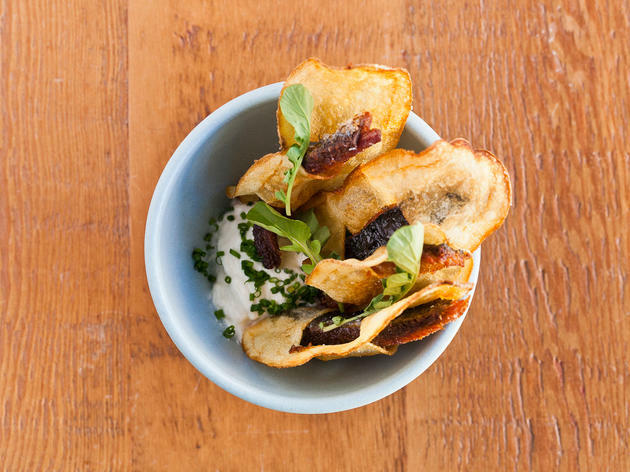 More than a decade after first opening in 2006, Nopa is now just one of several restaurants in a neighborhood that has hit its culinary stride. 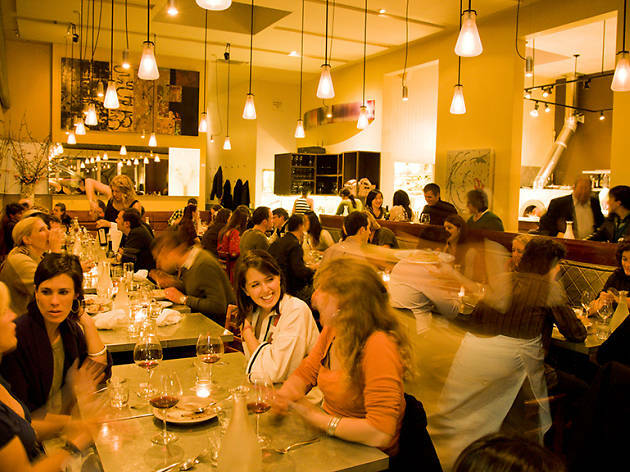 But even in competition with newer upstarts, Nopa is still holding strong on the corner of Hayes and Divisadero Streets serving its "urban rustic" cuisine to a perennially packed house. Italian- and Mediterranean-inspired dishes like porchetta with potatoes, strawberry mostarda, peppercress and cracklings and cannellone made with housemade ricotta, tomato, leeks, radish and shiso are consistently delicious, as are brunch offerings like butter basted eggs with fried asparagus, shitake mushrooms, orange and horseradish creme fresh. If you come without a reservation at peak hours, be prepared to wait for seats at both the bar and restaurant. 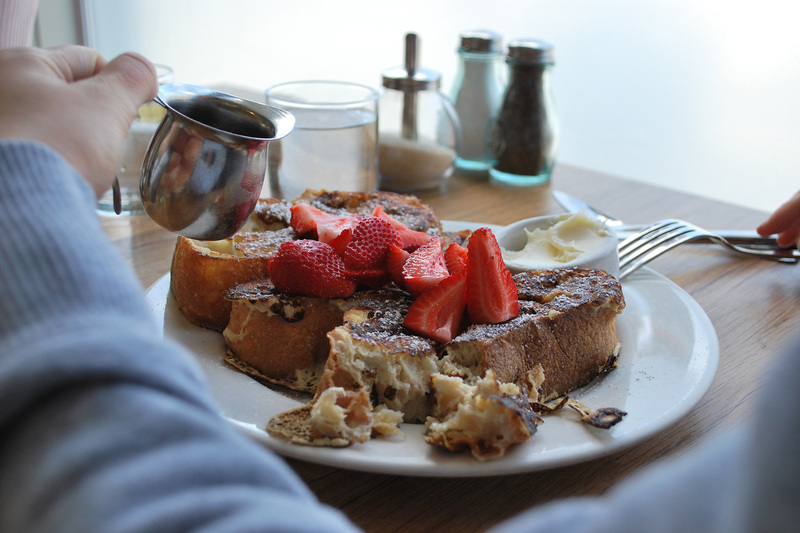 Delfina has been a neighborhood mainstay since before the Mission was cool (read: gentrified). Owners Anne and Craig Stoll set up shop in 1998, offering fresh Italian fare in an upscale setting. 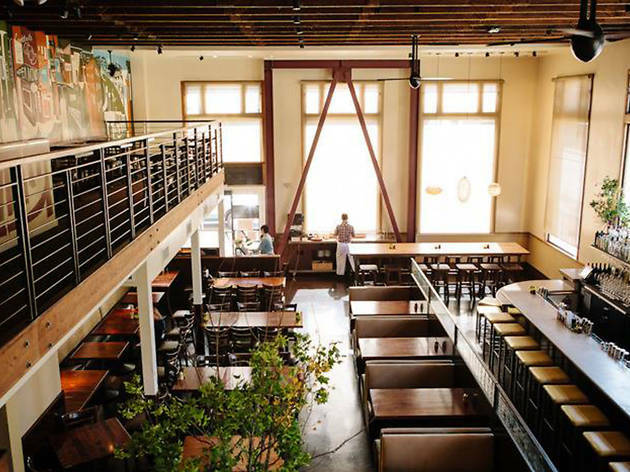 The decor is minimalist, with wood accents and industrial fixtures; all the better for people-watching out the wrap-around windows facing Valencia Street. Delfina is known for its pasta, including the classic spaghetti, made with plump plum tomatoes and deftly spiced with pepperoncinis, and the tripe alla fiorentina. Heartier dishes include grilled fish, roast chicken, and wood-grilled steak. The pizzeria next door offers pie combinations carbonara with guanciale, pecorino, scallions, black pepper, and a runny farm egg. 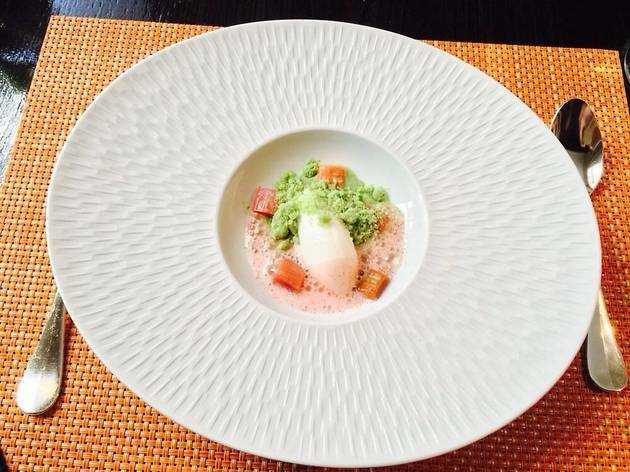 This Nob Hill restaurant exclusively serves a seasonal tasting menu. 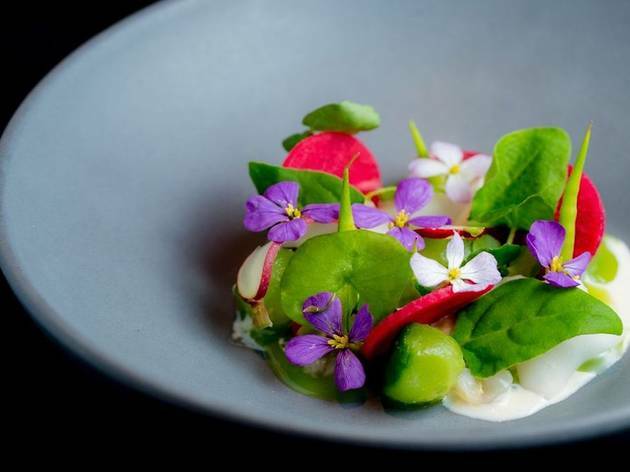 The nine-course, $145 menu is delicate and thoughtful with produce selected from local farms, including chef-owners Teague Moriarty and Matt McNamara's one-acre garden and orchard in Los Gatos. The NorCal preoccupation with the hyper-local is on full display here—you can watch the plating in the open kitchen in the middle of the restaurant. 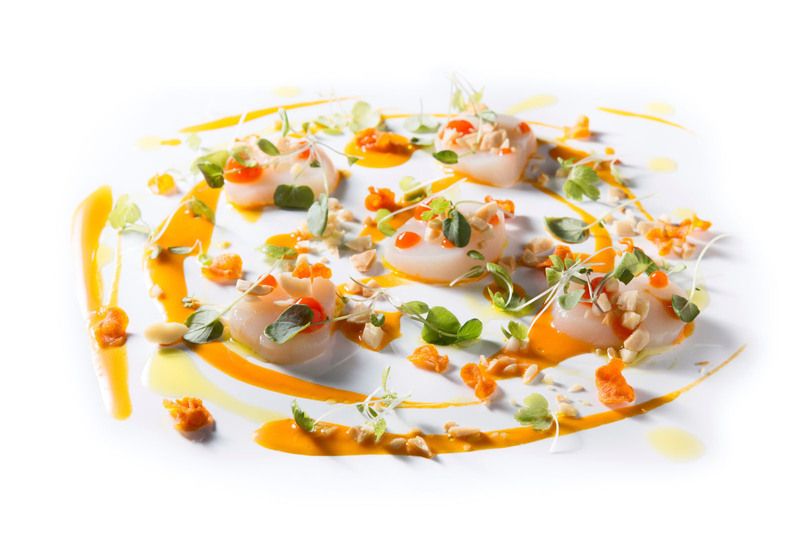 Expect dishes that spotlight each ingredient such as scallop crudo with asian pear aguachile and fresh wasabi and hibachi-grilled lamb crusted in local seaweed and peppercorn. Kokkari’s inventive brand of Hellenic cuisine hits the mark in their quest to create the “food of the gods.” Begin your meal with mezethes (small plates) like marithes tiganites (crispy smelt with garlic-potato skordalia and lemon, also affectionately referred to as “fries with eyes”) or some of the best grilled octopus in town. 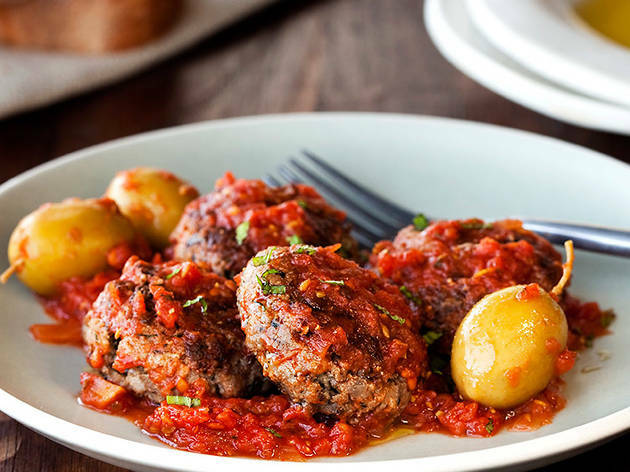 Once you’ve plowed through those, dig in to Kokkari’s traditional moussaka—a rich, creamy baked casserole of eggplant, lamb ragout and béchamel—or their famed lamb chops. For dessert? Various iterations of baklava and loukoumades, Greek donuts with honey, cinnamon and walnuts, round out the menu. A great spot for large celebrations and small intimate ones, the restaurant’s rustic Old World charm beautifully complements any lunch or dinner. 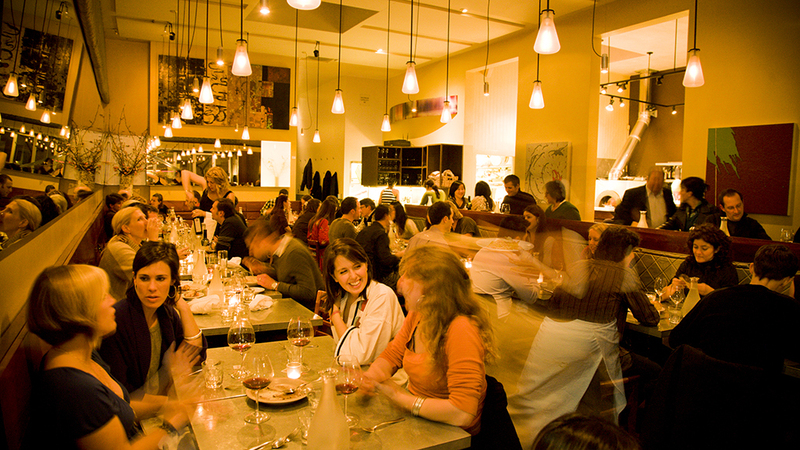 It can be hard to keep up with San Francisco's dining scene. 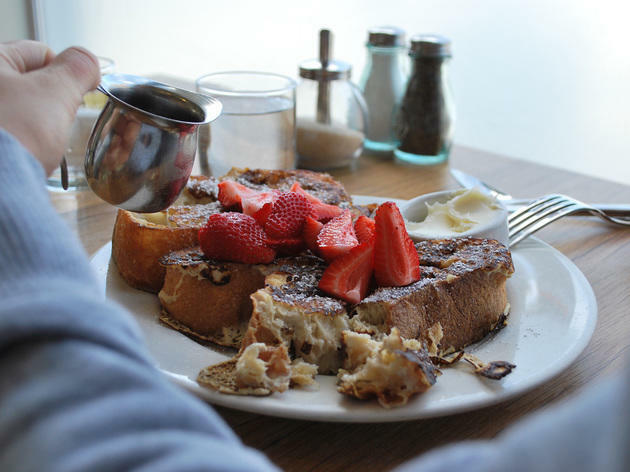 Which breakfast restaurants are worth getting out of bed for on a weekend morning? 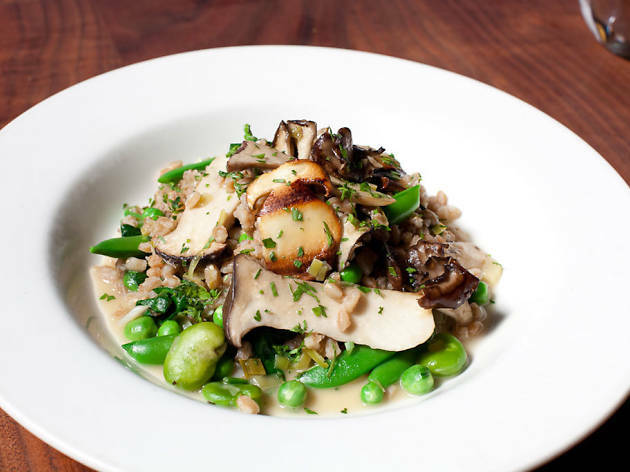 Peruse our top picks for places that dedicate most or all of their menus to plant-based cooking. 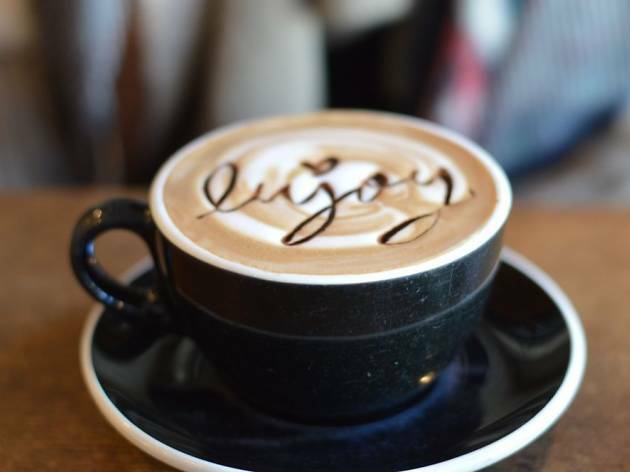 San Francisco is a boon for coffee buffs. One of the few upsides to San Francisco's year-round fog is that it rarely gets too hot for ramen.